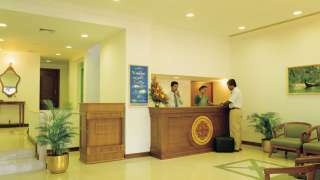 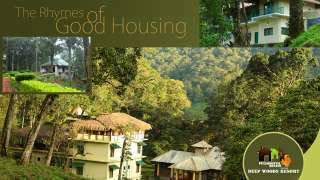 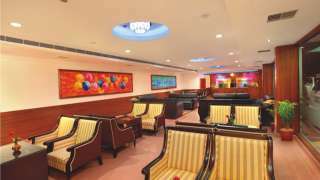 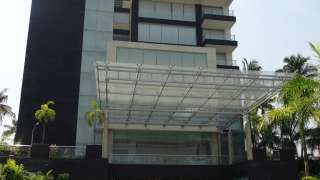 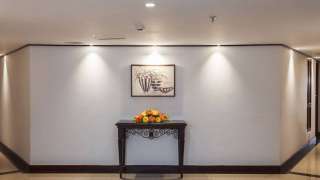 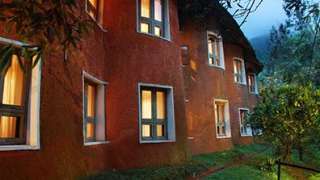 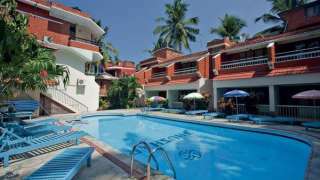 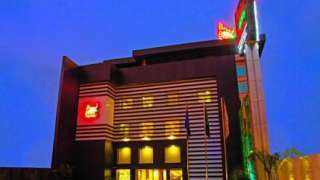 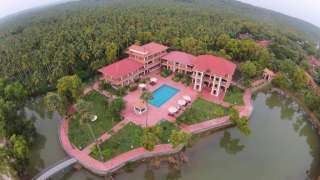 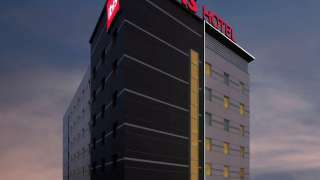 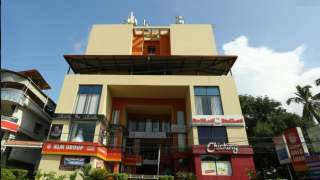 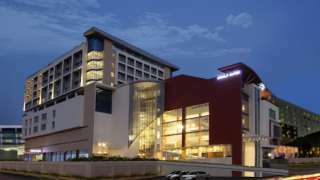 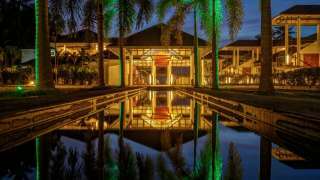 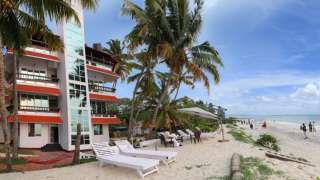 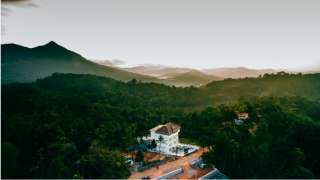 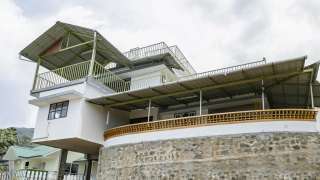 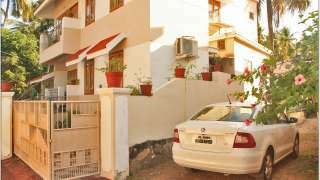 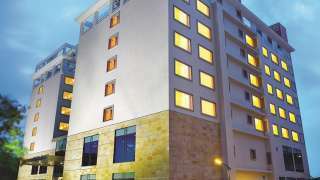 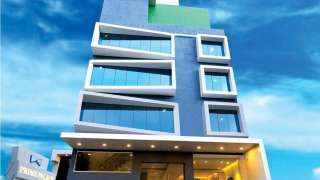 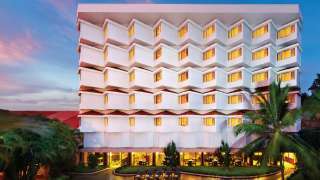 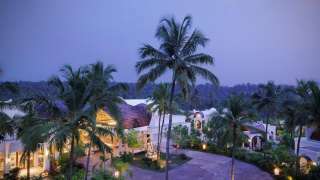 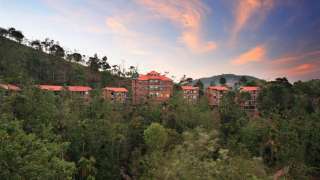 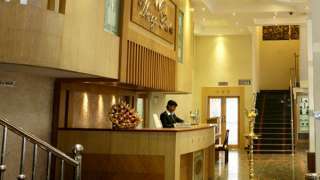 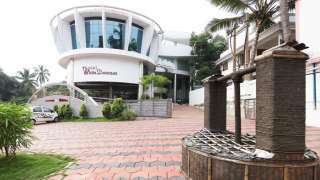 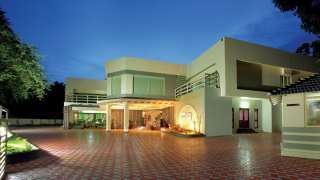 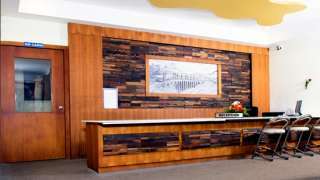 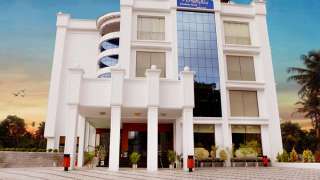 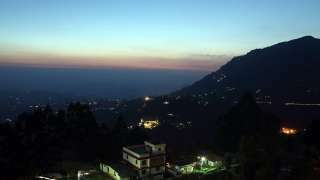 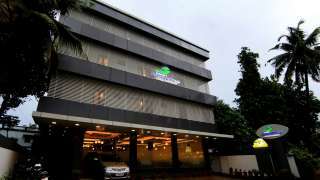 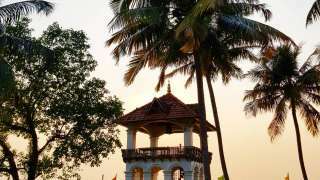 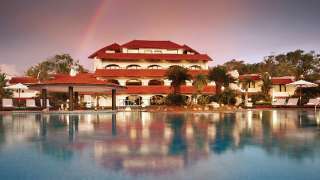 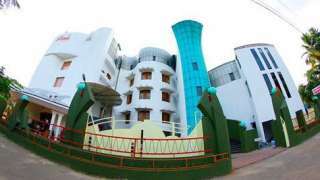 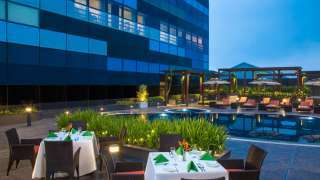 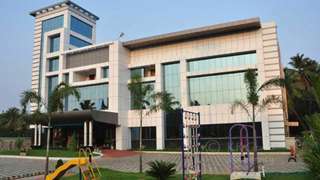 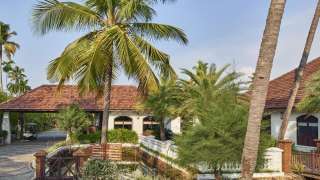 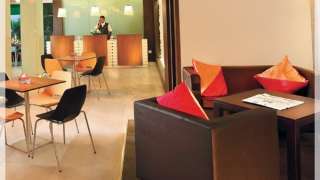 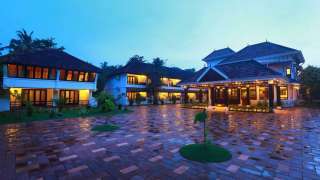 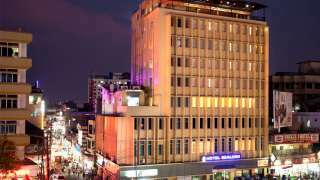 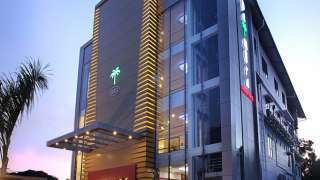 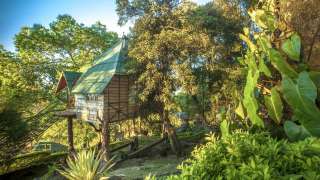 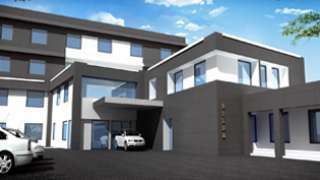 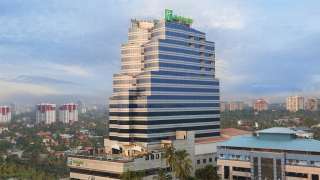 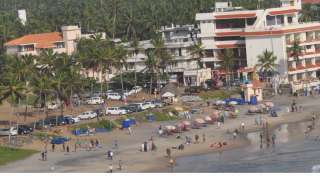 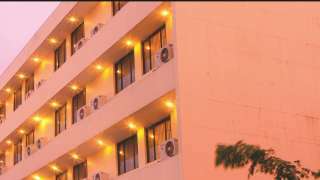 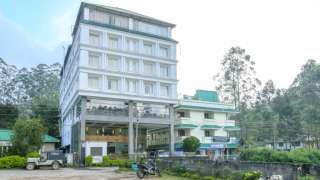 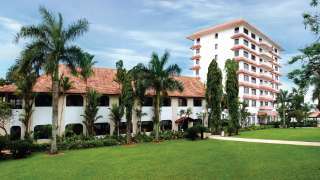 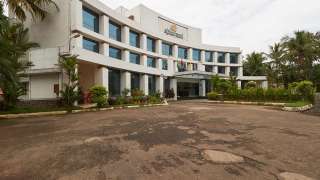 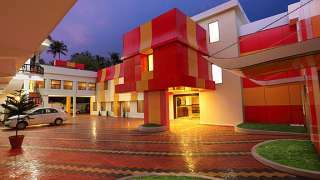 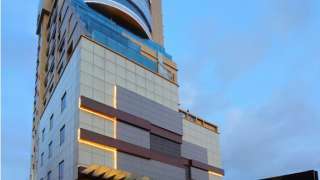 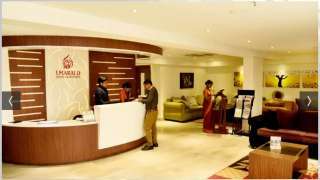 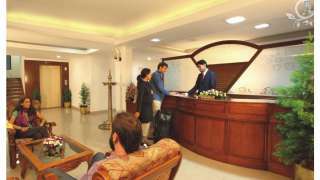 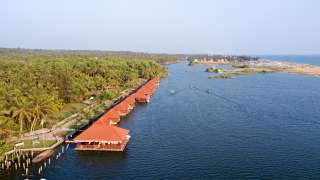 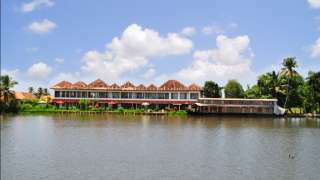 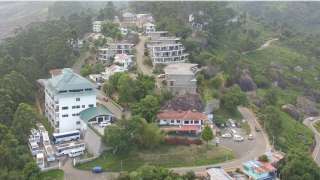 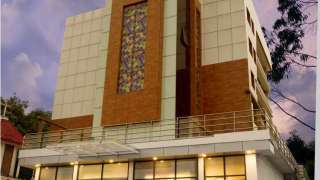 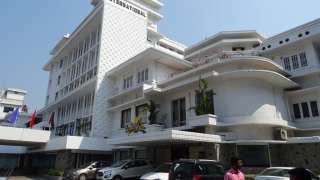 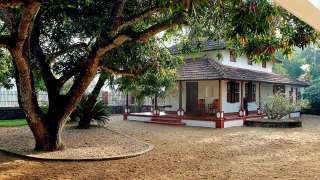 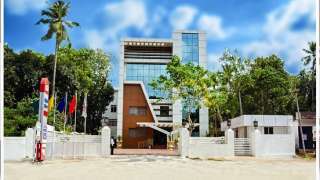 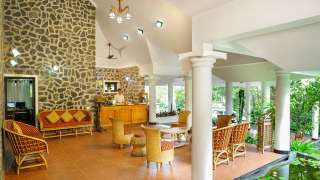 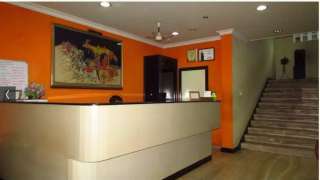 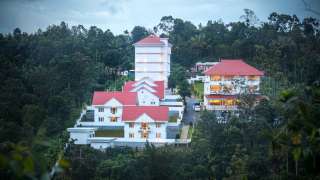 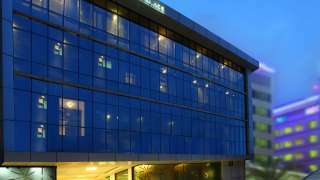 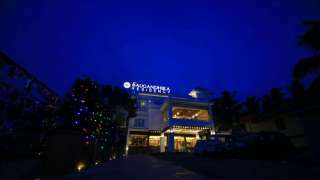 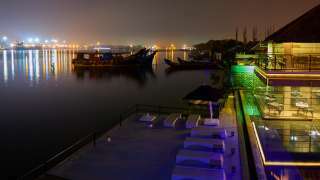 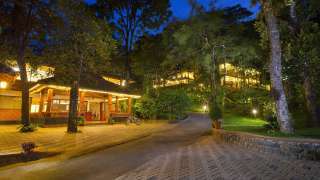 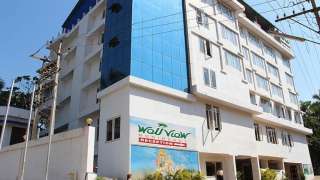 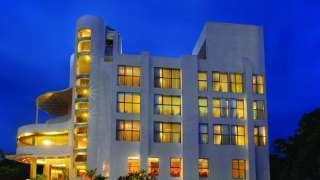 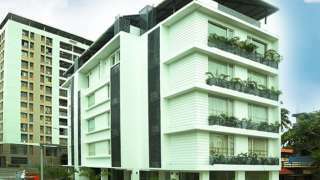 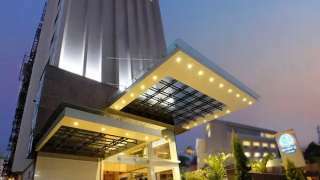 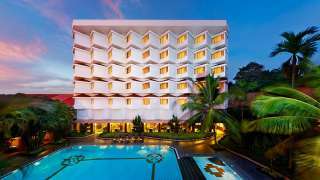 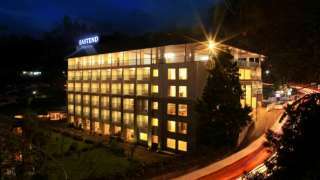 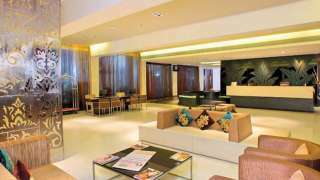 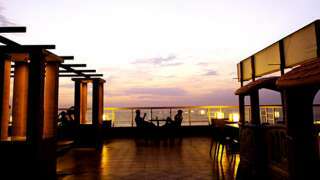 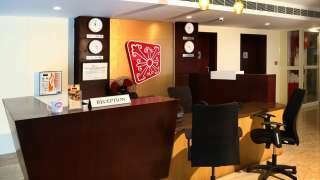 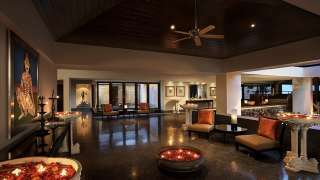 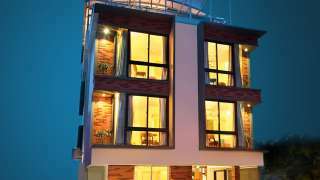 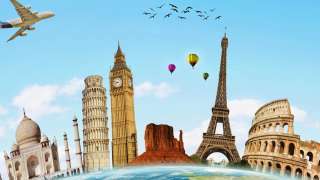 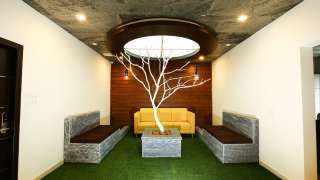 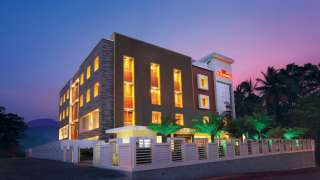 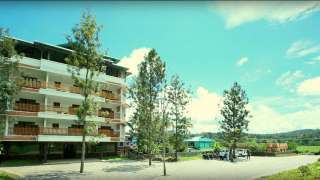 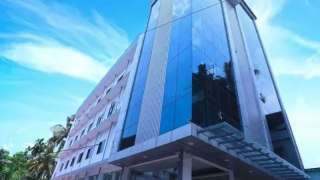 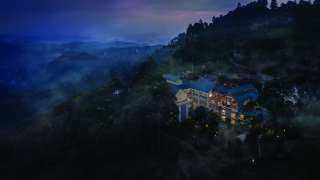 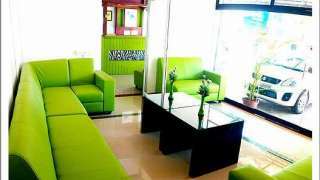 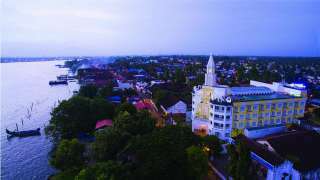 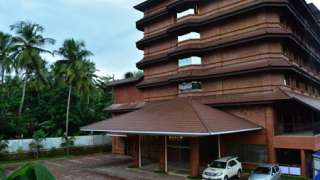 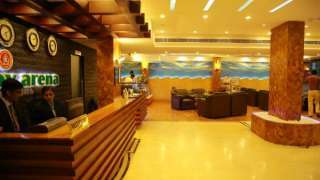 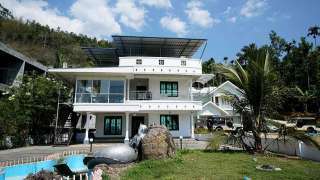 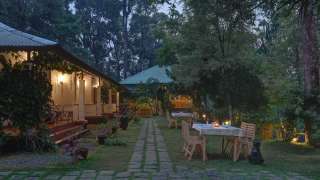 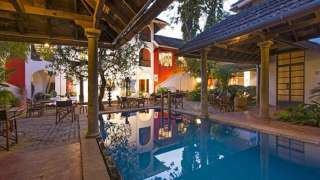 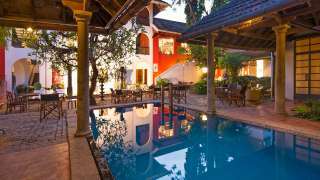 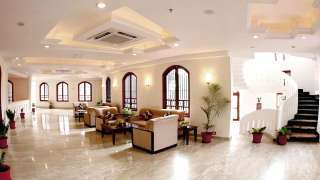 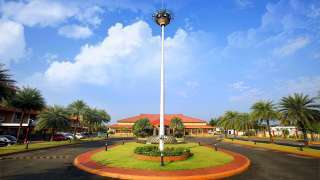 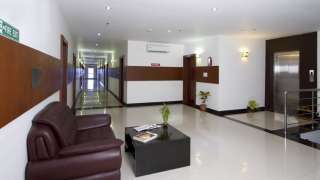 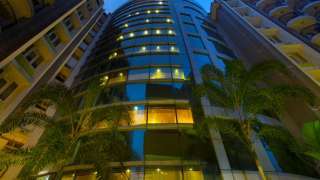 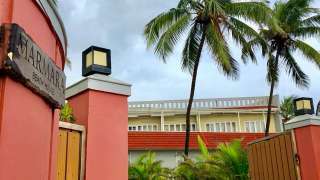 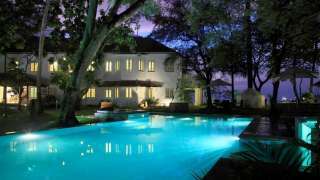 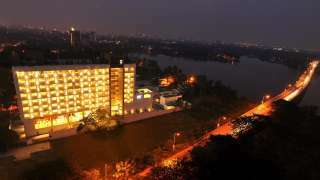 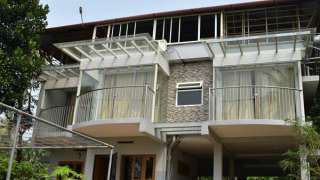 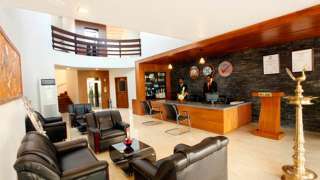 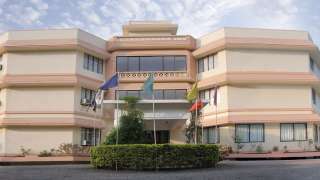 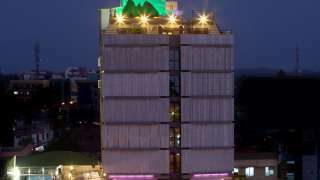 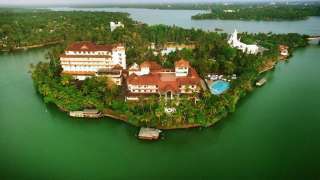 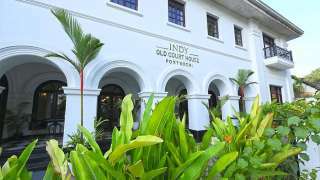 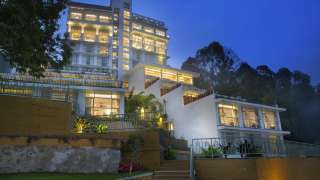 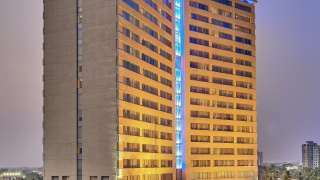 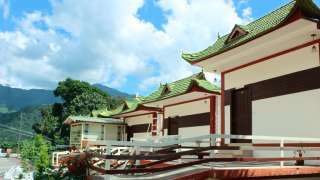 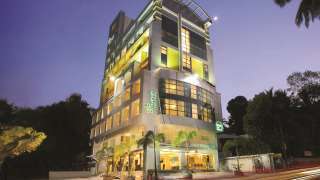 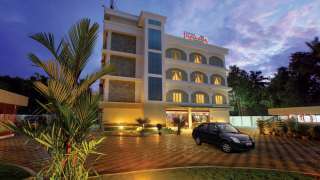 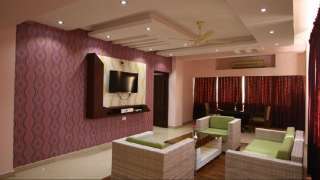 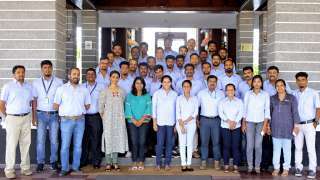 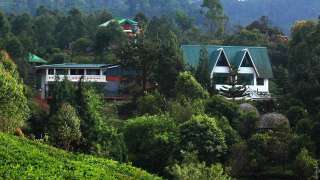 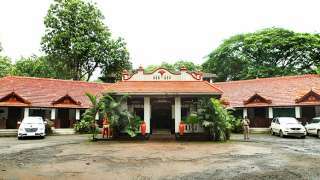 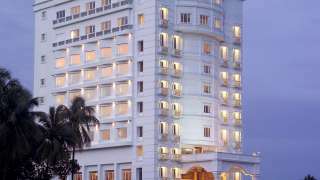 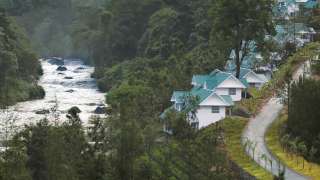 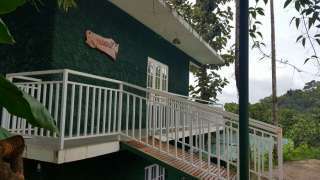 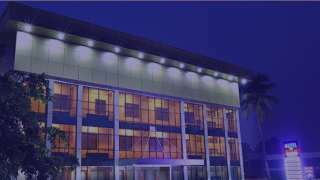 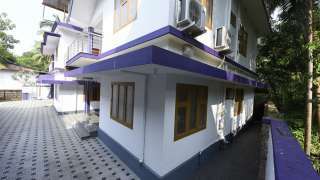 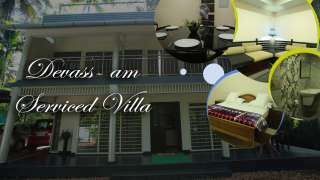 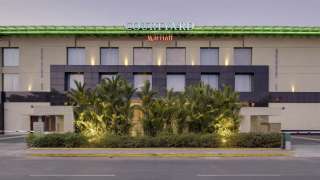 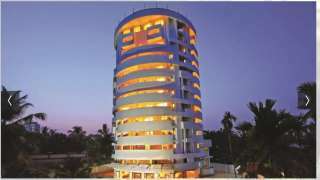 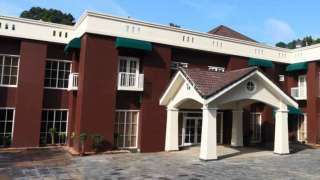 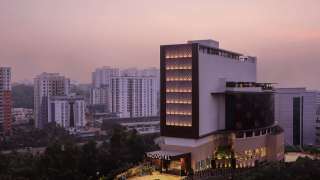 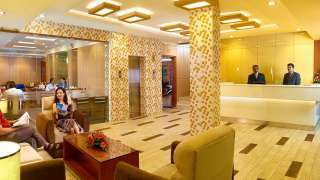 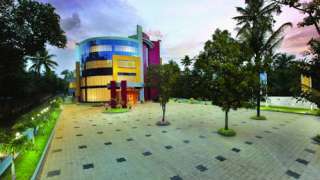 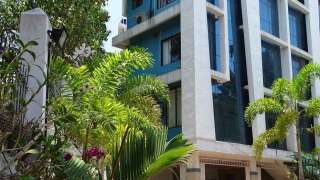 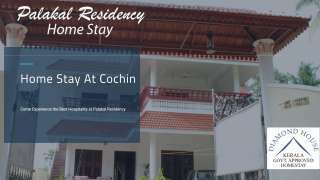 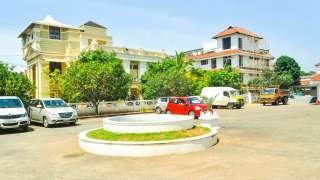 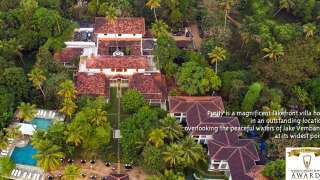 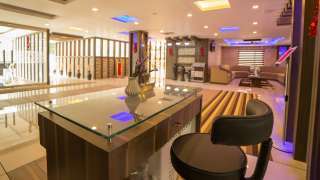 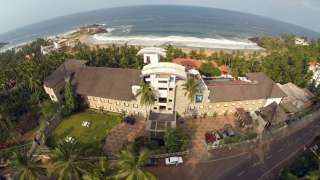 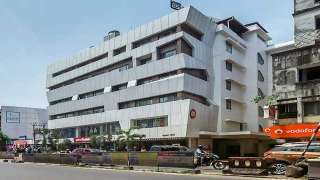 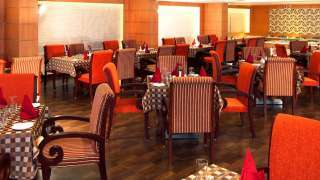 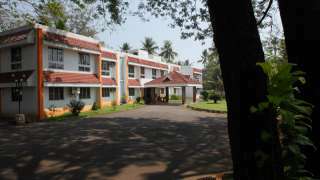 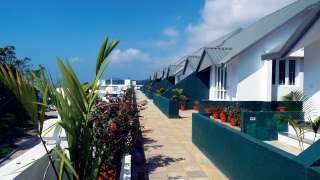 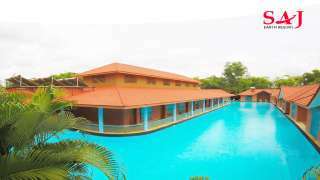 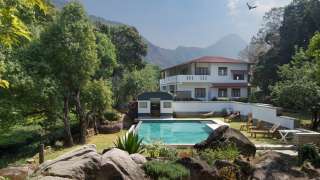 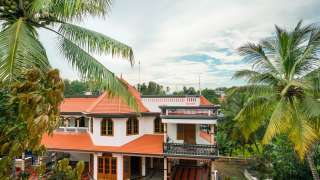 WestWood Hotels & Resorts Pvt. 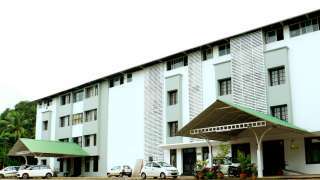 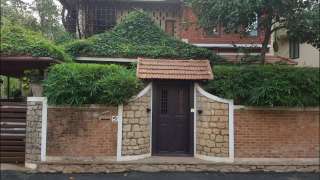 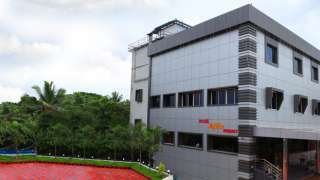 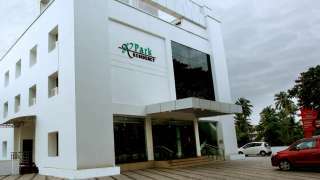 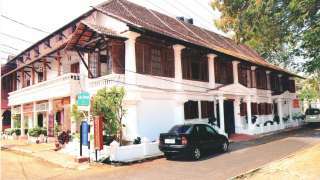 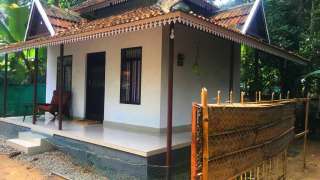 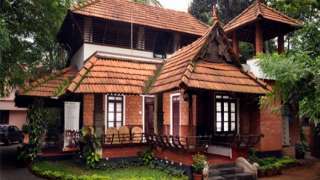 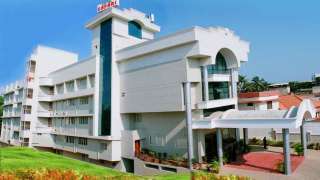 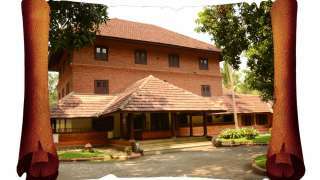 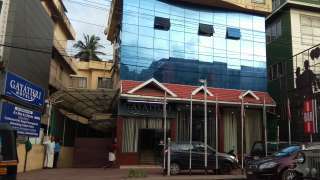 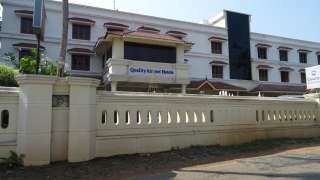 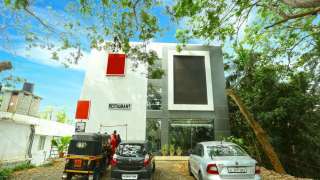 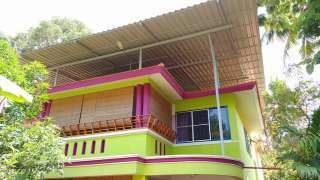 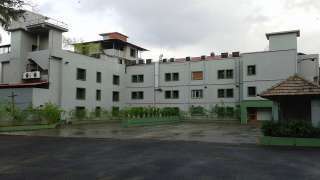 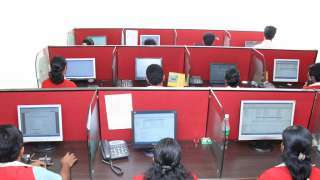 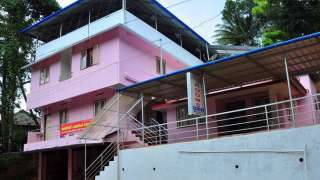 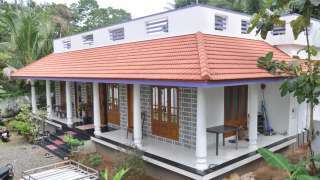 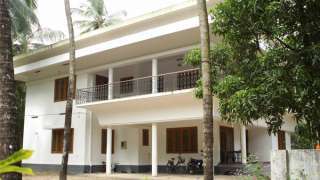 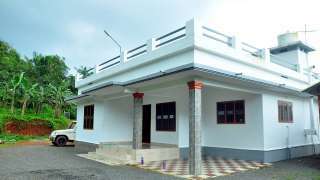 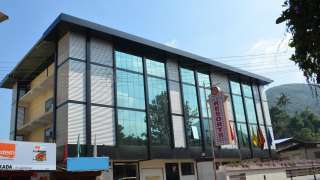 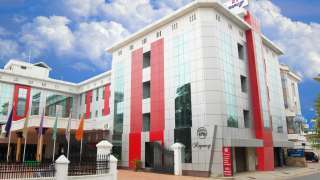 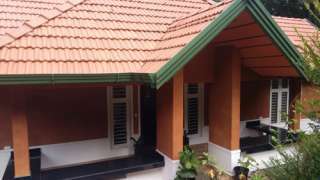 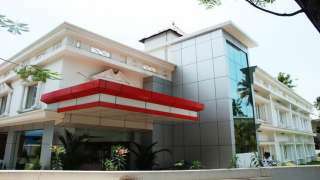 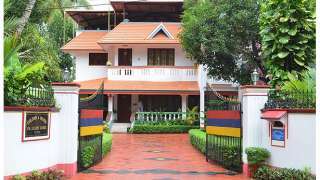 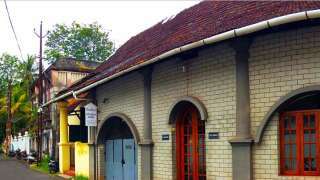 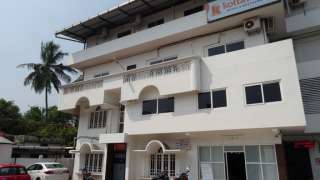 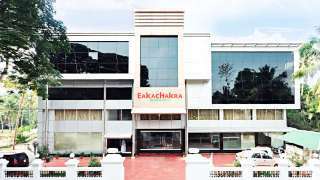 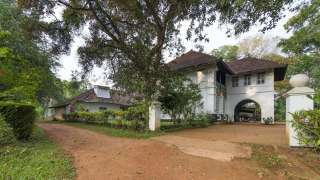 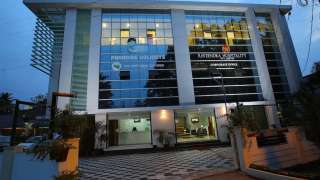 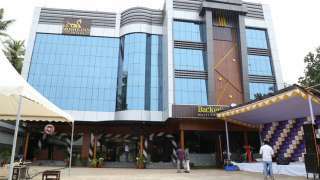 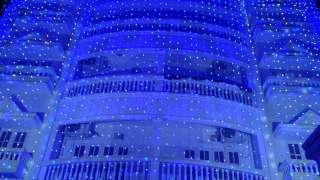 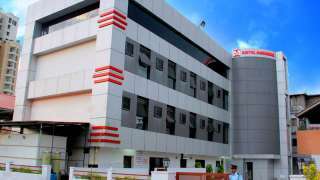 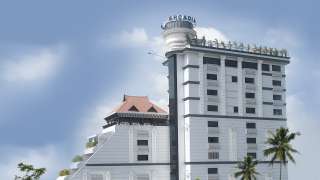 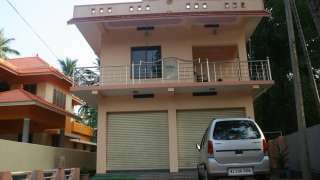 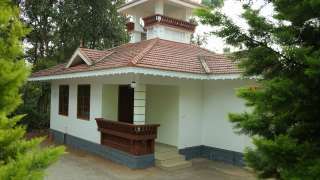 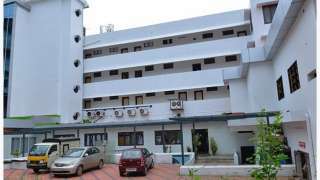 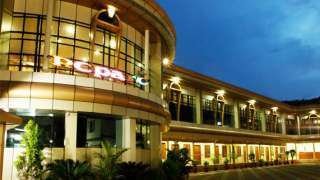 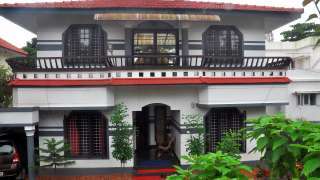 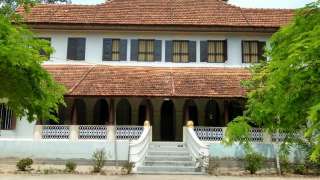 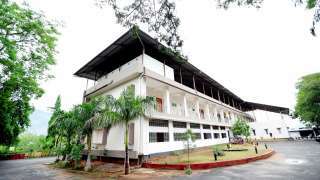 Ltd.
Pottankad, Power House, Chithirapuram P. O. 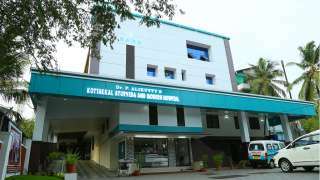 3rd Mile, Pallivasal. 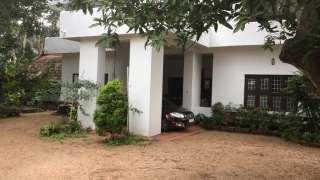 P. O. 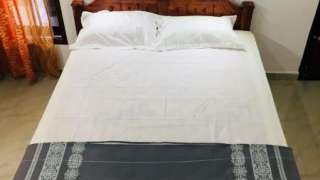 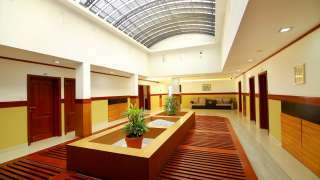 Master Comfort Inn Pvt. 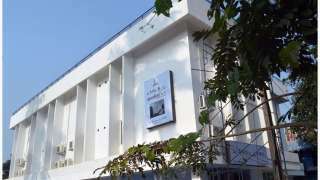 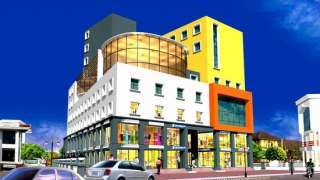 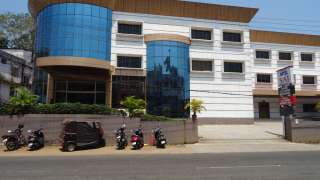 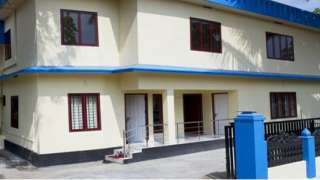 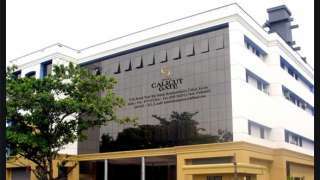 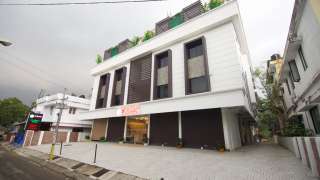 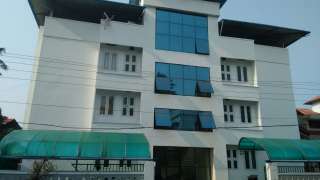 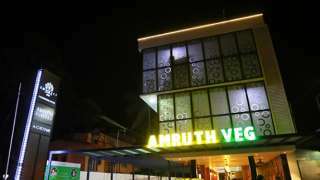 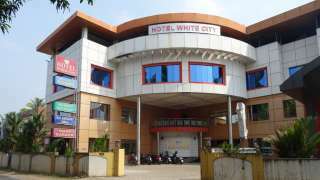 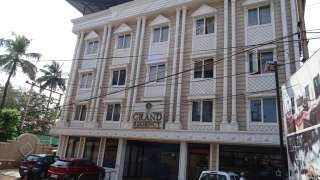 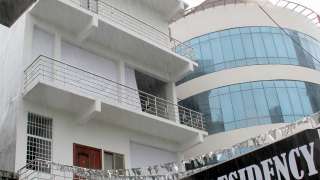 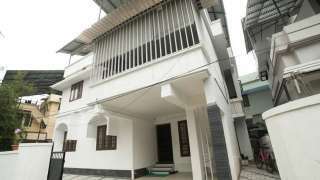 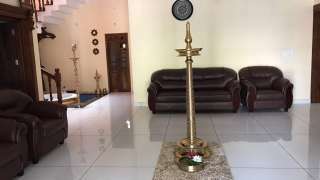 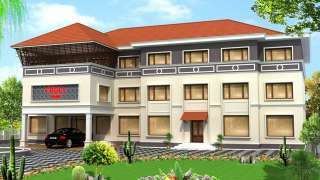 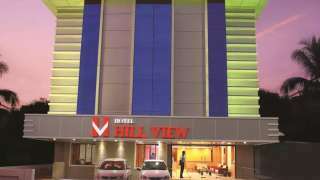 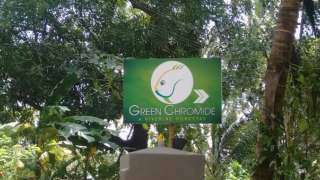 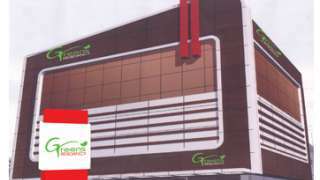 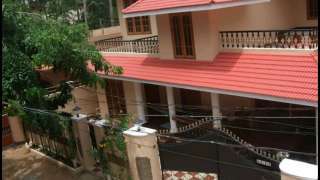 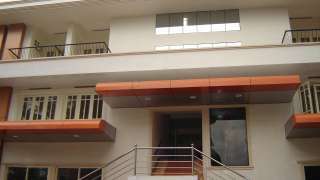 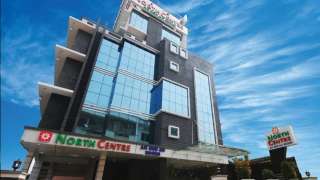 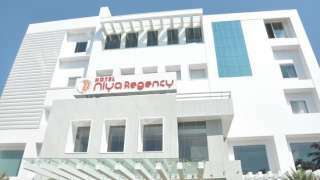 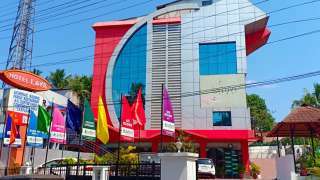 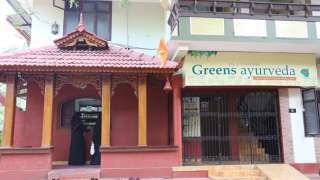 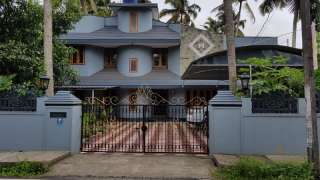 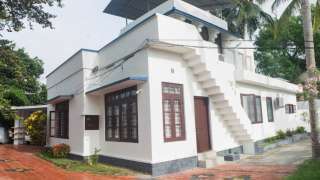 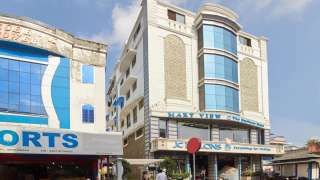 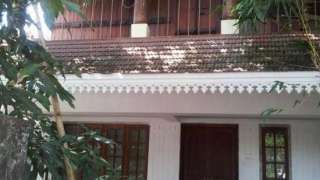 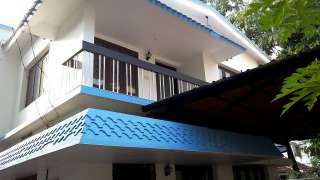 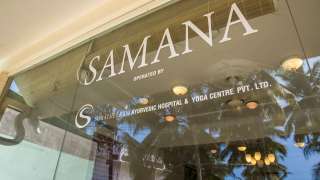 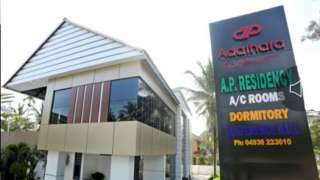 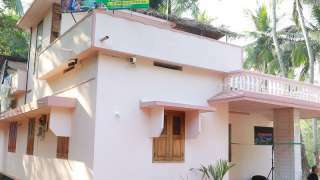 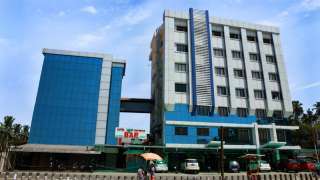 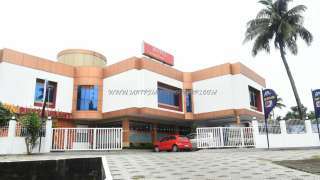 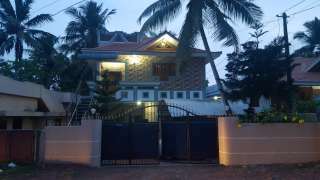 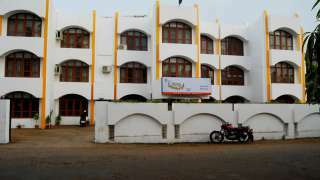 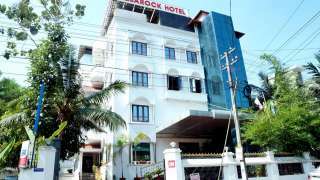 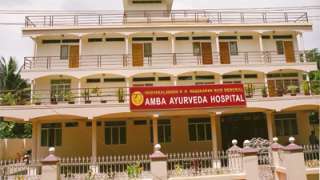 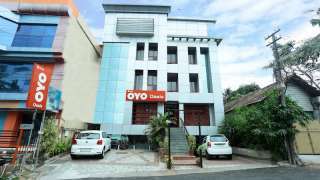 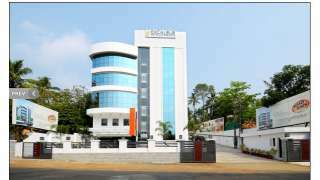 Ltd.
Near Juma Masjid, Arampattakunu P. O.
Devadeyam, RRA 90 A Ambalamukku, Vayalikada, Ramapuram Road Mukkolakkal P.O. 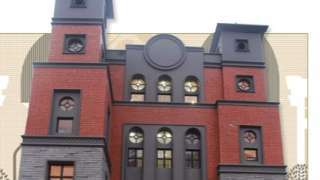 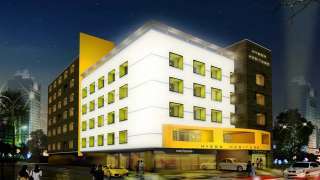 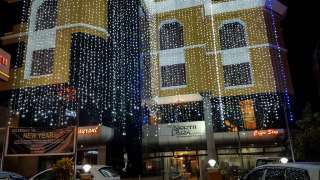 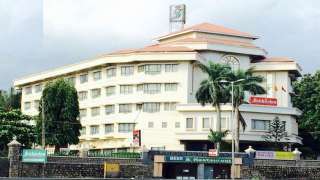 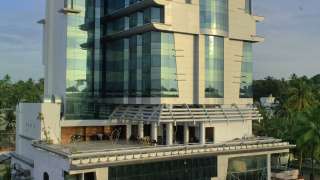 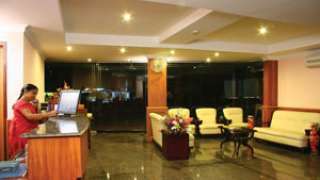 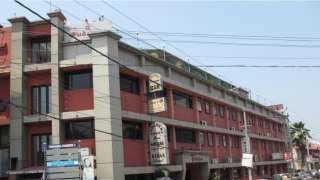 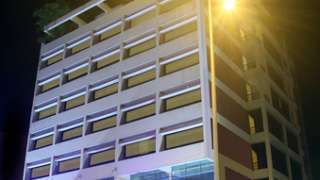 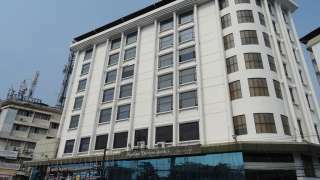 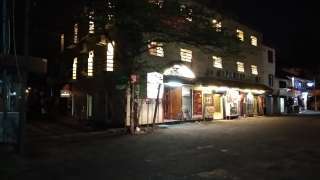 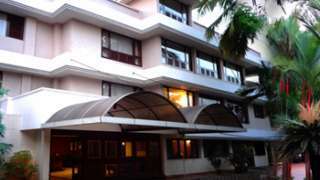 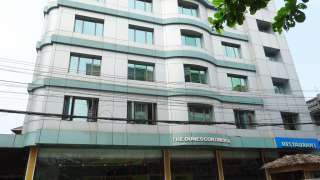 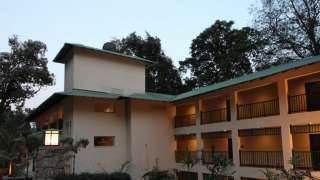 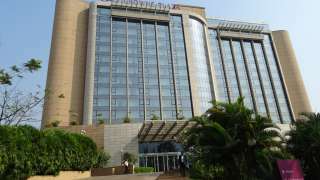 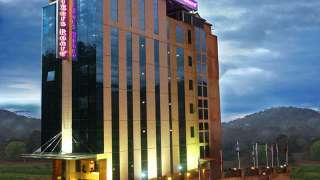 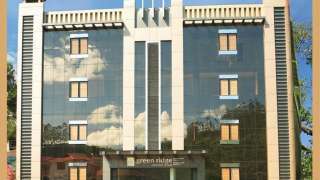 Hotel Siena Central Pvt. 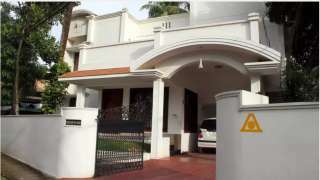 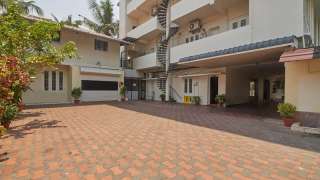 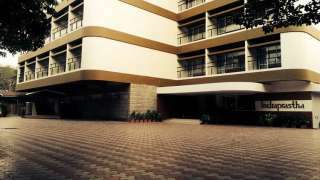 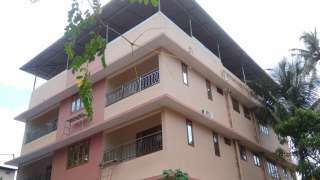 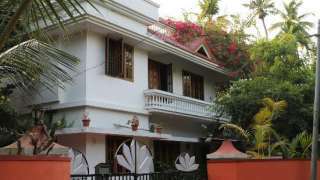 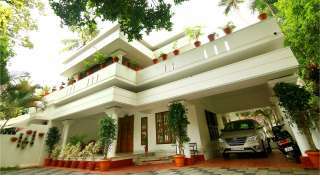 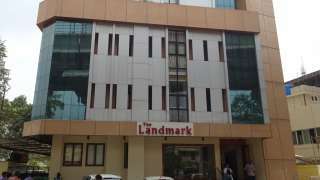 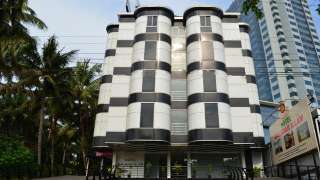 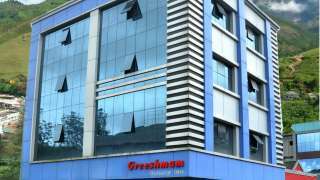 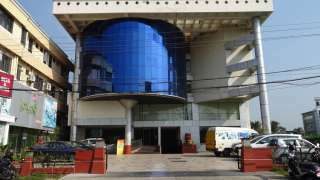 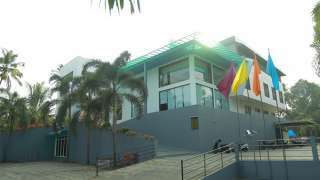 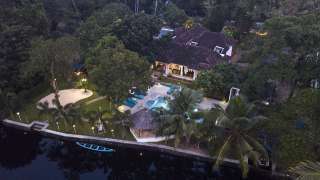 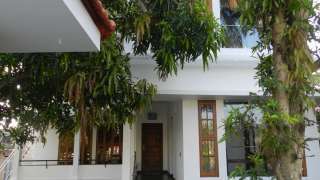 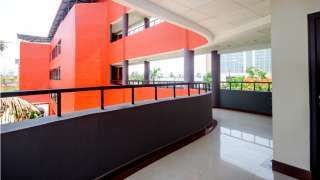 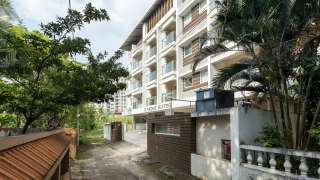 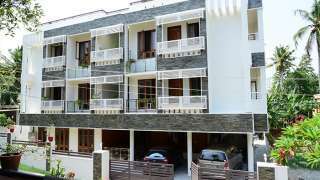 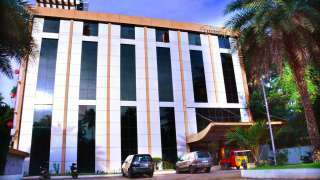 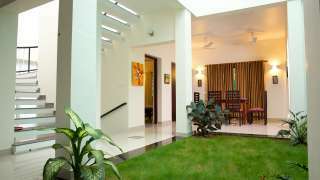 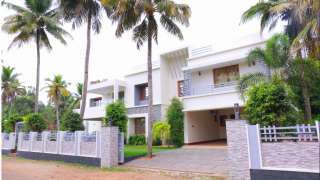 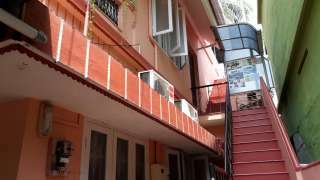 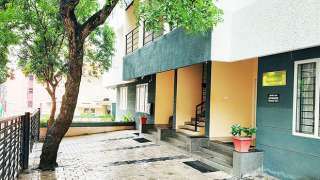 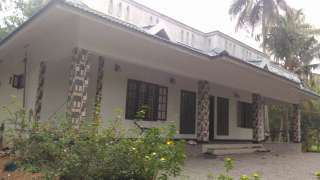 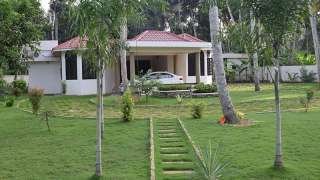 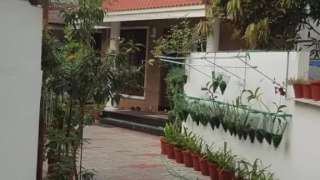 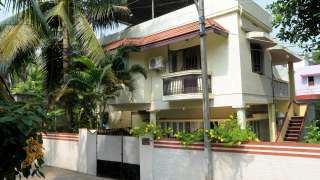 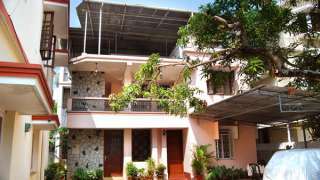 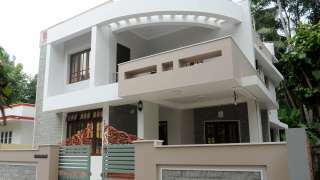 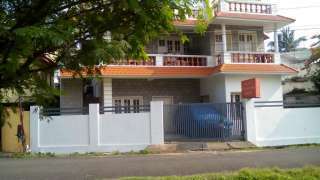 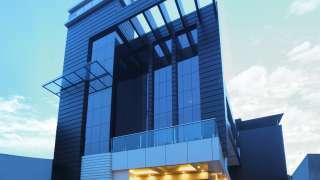 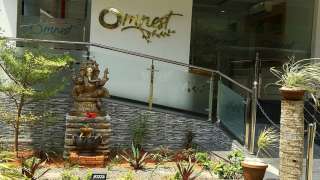 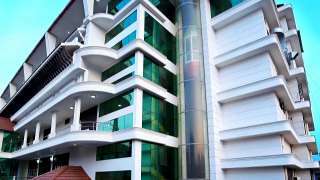 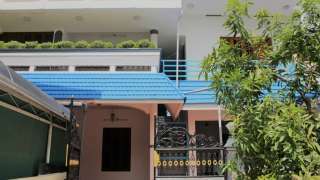 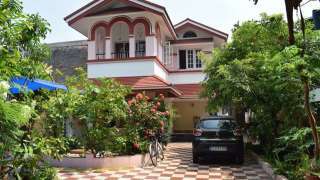 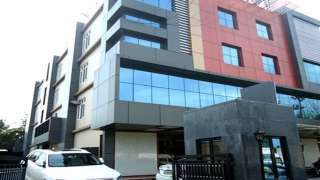 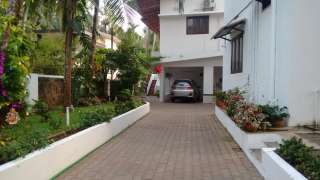 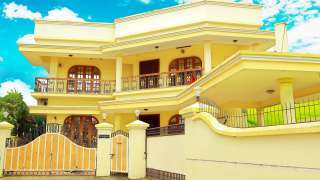 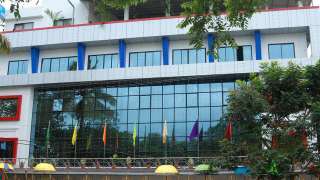 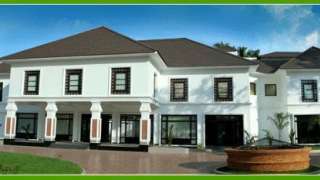 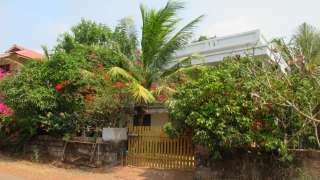 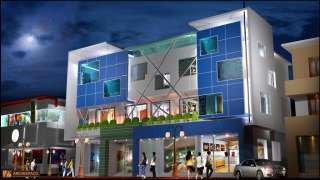 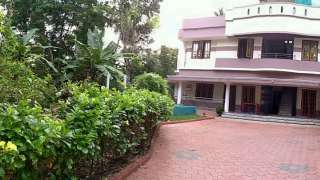 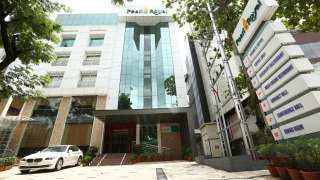 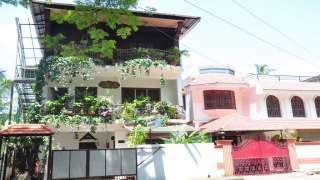 Ltd.
Near TV Center, CSEZ P. O.
Manakkattu House Maryland P. O. 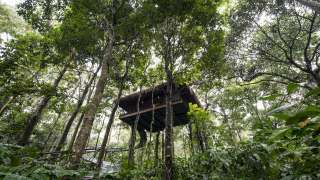 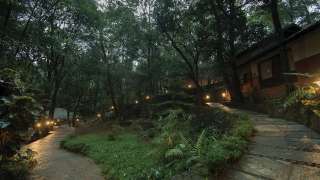 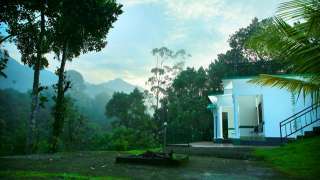 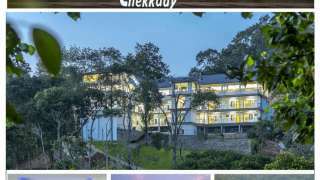 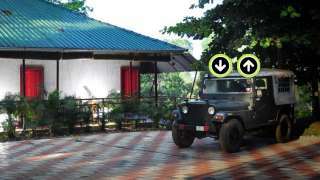 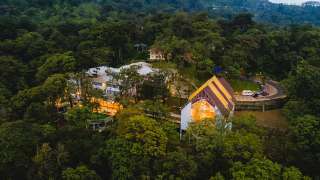 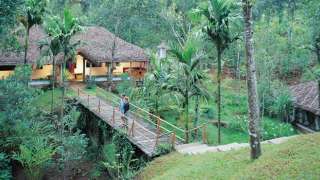 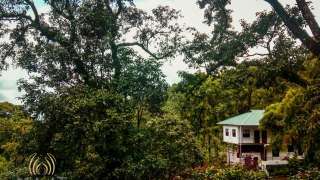 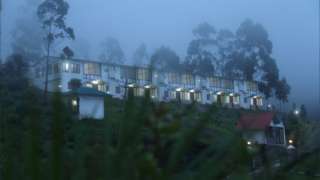 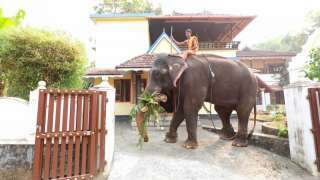 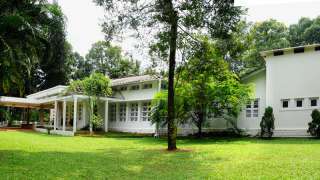 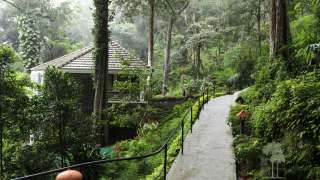 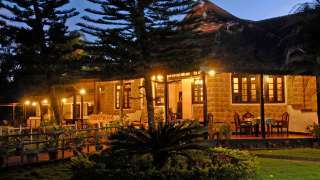 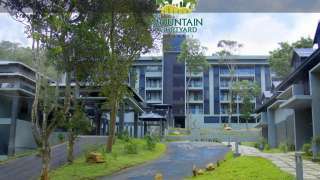 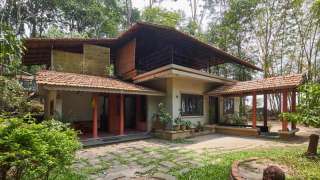 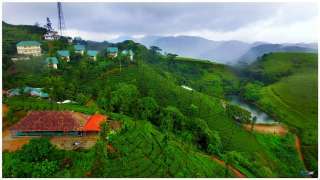 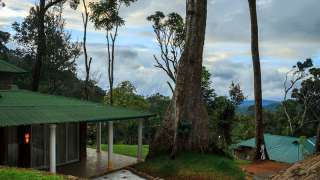 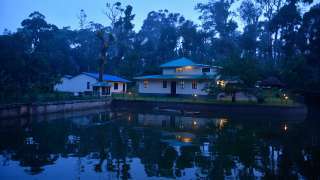 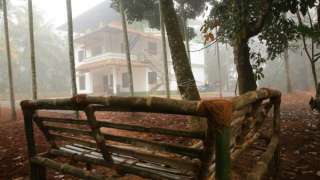 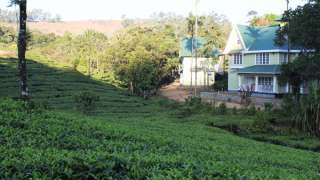 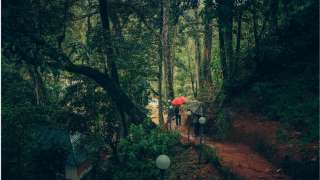 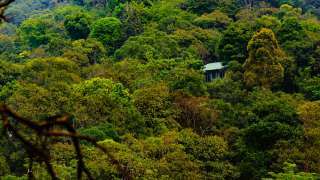 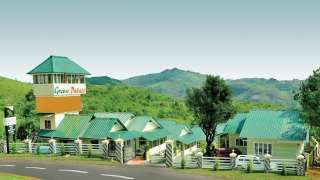 Off Thekkady - Munnar State Highway-19, Puliyanmala P.O. 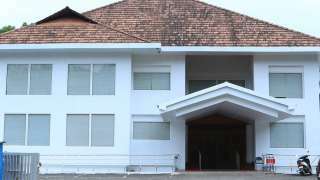 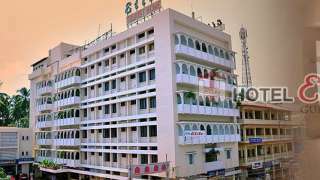 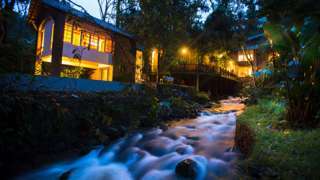 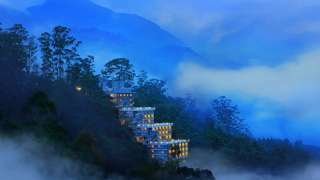 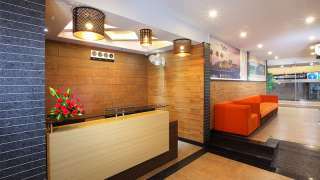 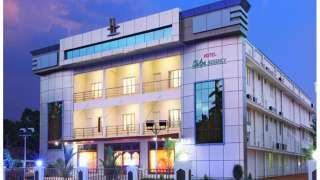 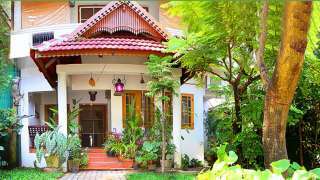 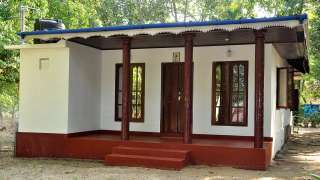 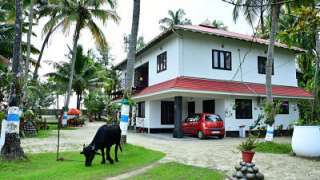 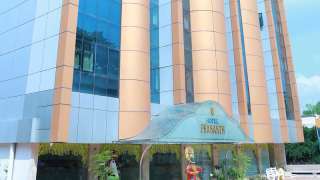 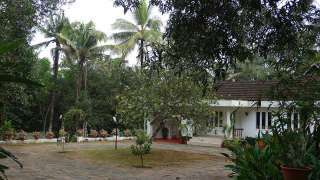 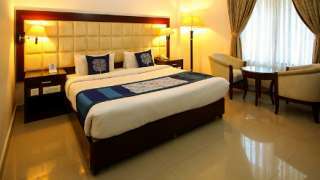 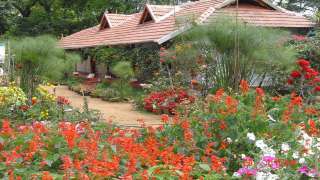 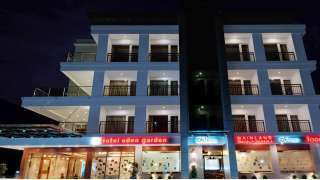 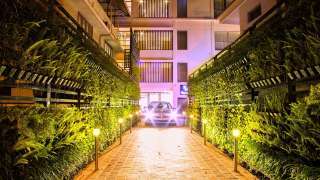 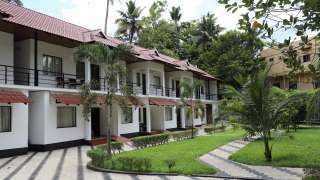 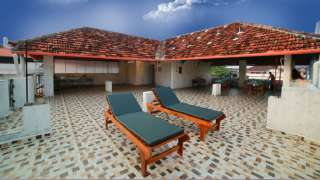 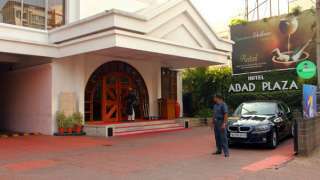 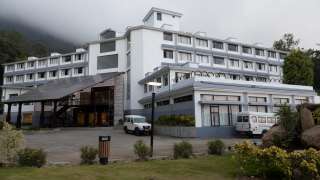 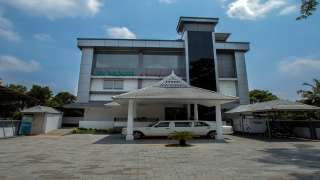 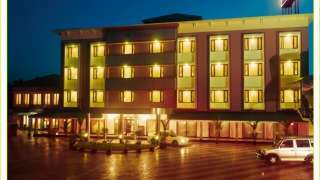 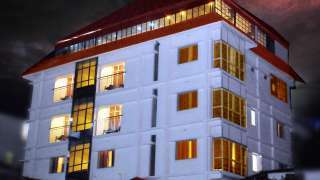 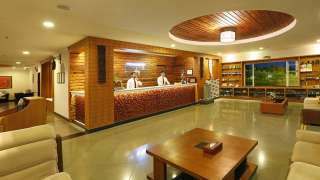 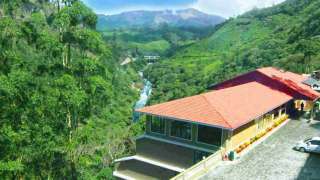 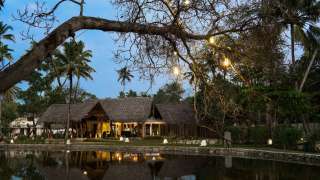 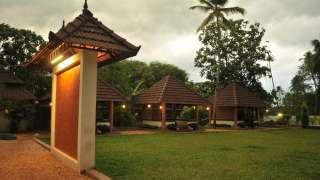 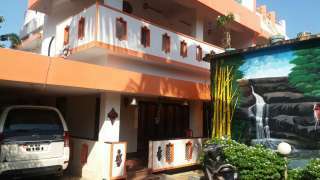 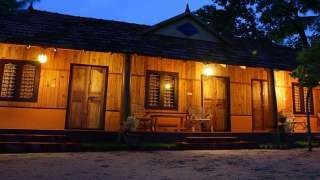 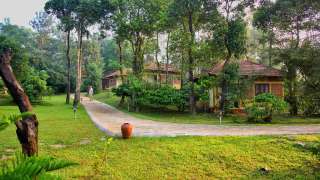 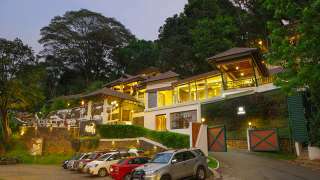 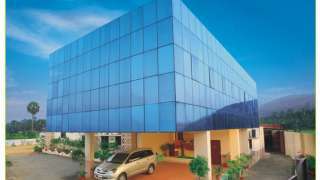 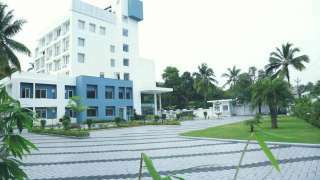 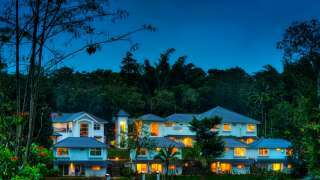 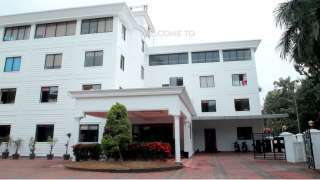 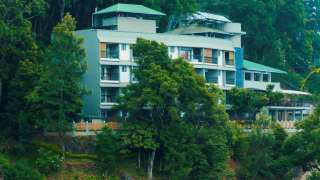 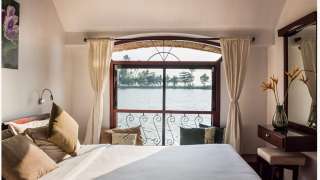 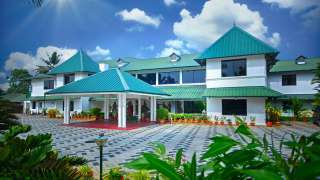 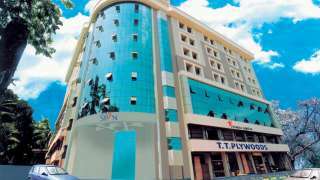 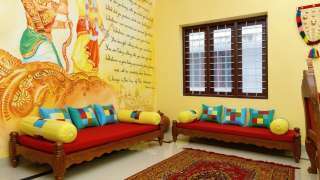 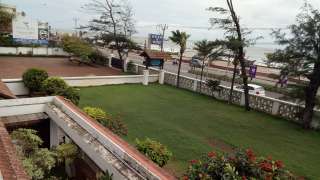 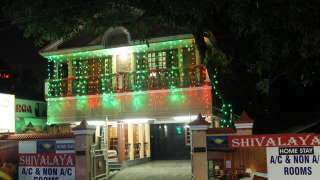 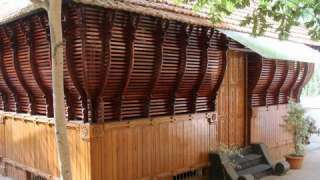 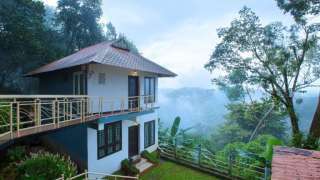 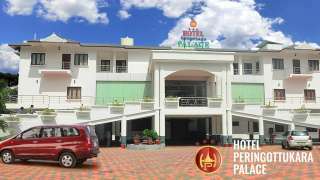 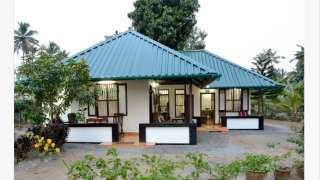 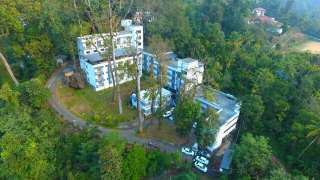 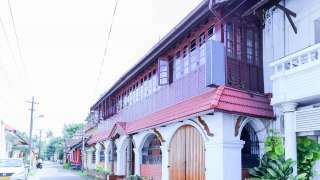 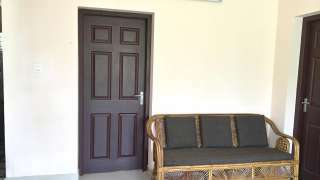 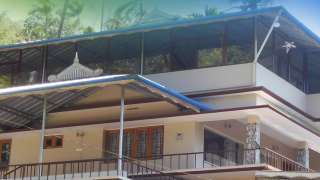 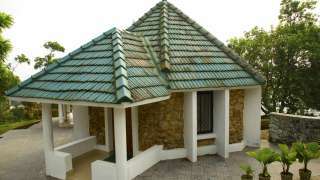 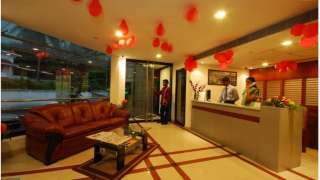 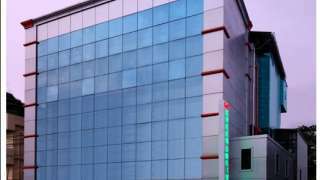 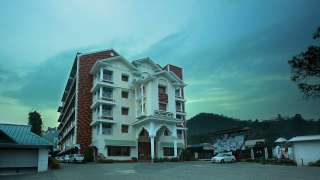 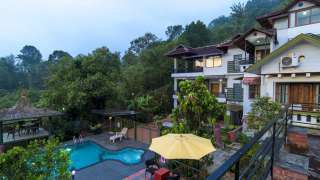 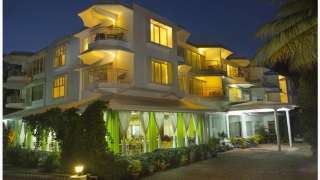 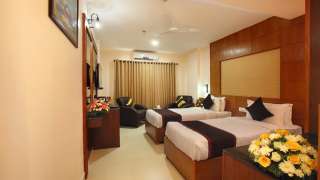 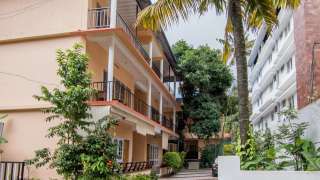 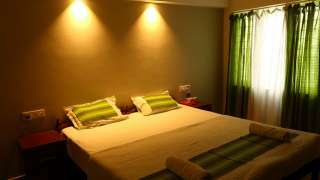 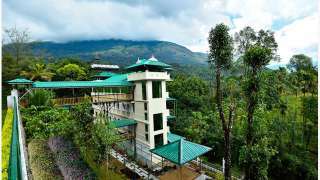 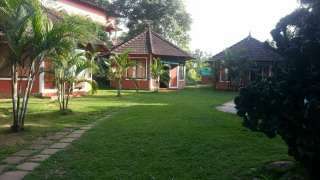 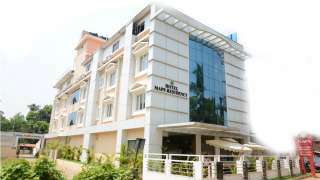 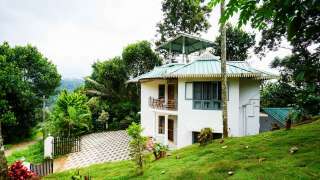 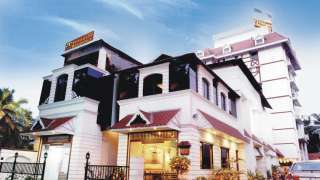 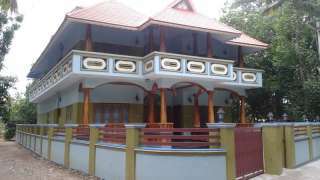 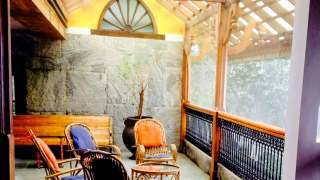 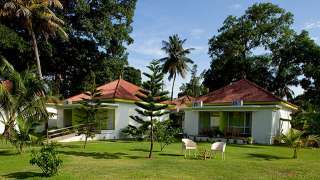 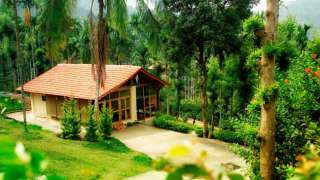 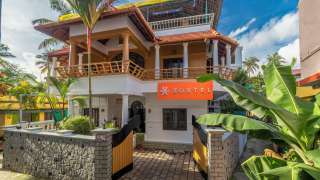 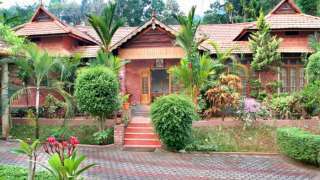 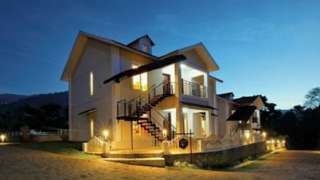 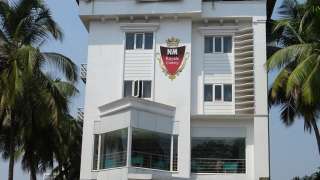 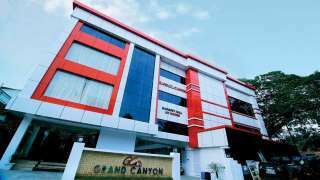 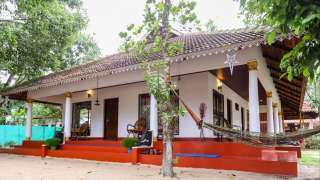 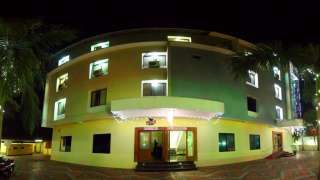 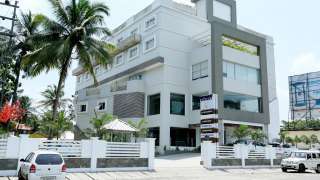 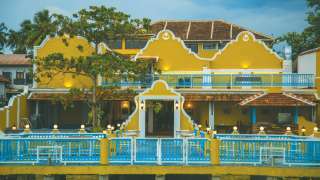 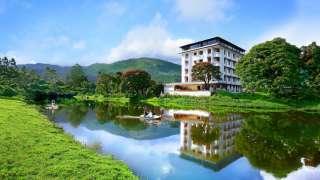 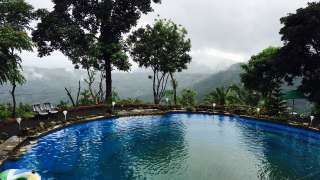 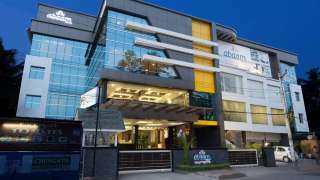 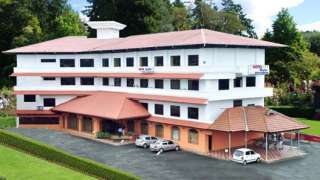 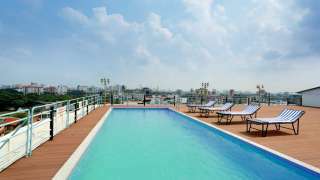 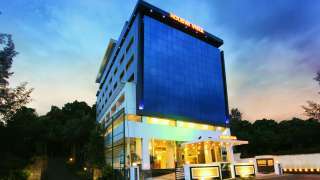 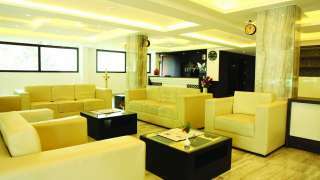 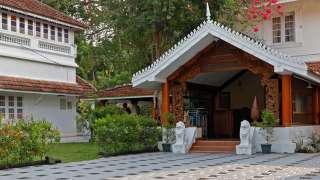 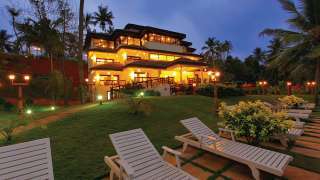 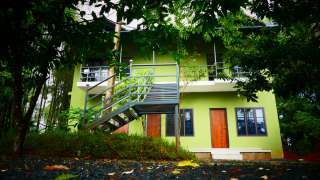 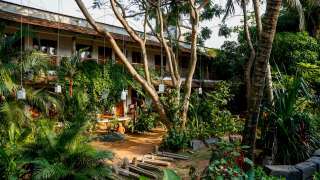 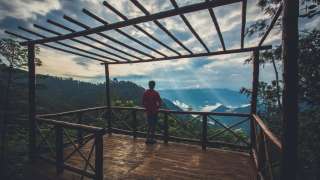 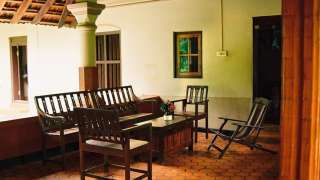 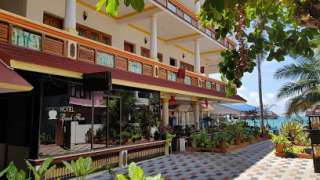 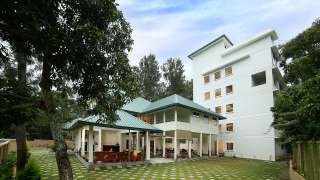 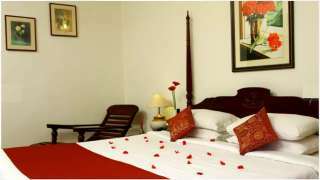 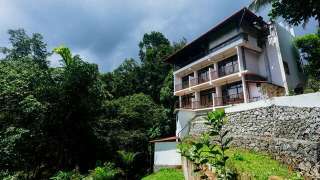 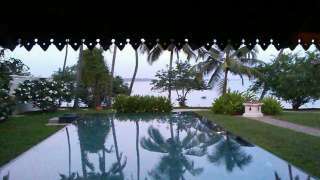 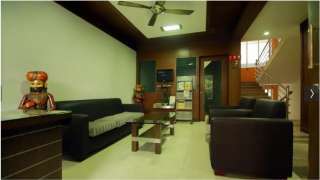 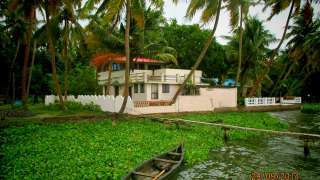 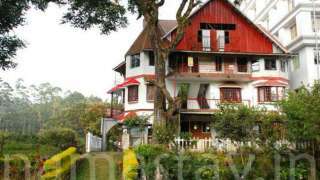 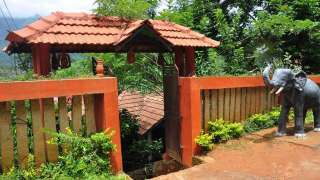 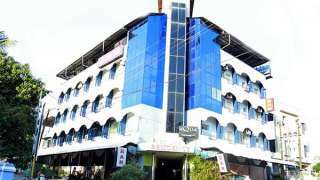 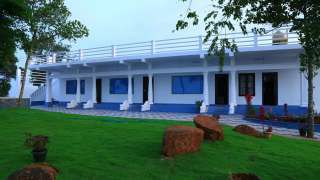 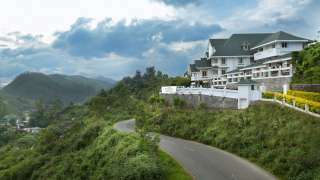 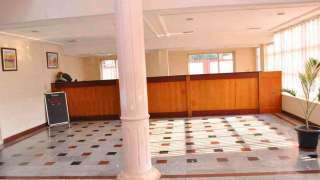 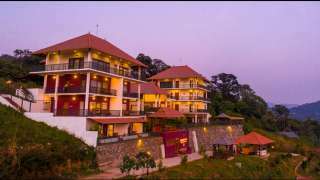 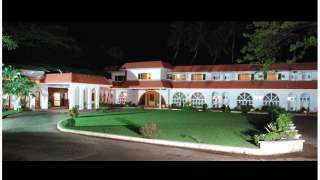 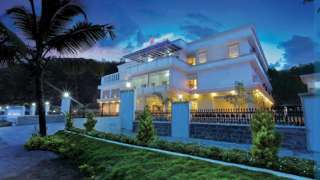 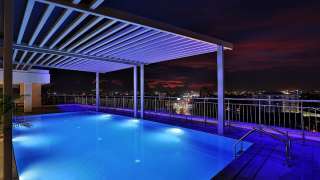 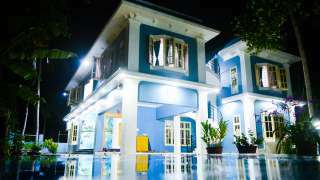 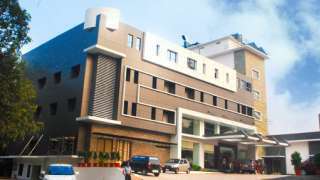 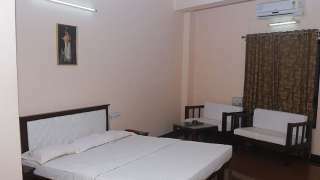 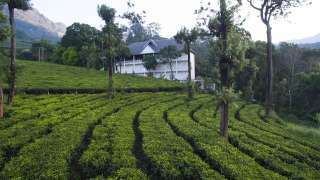 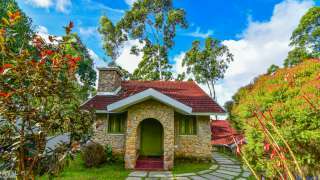 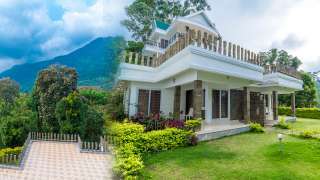 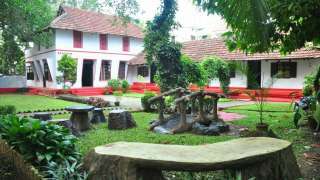 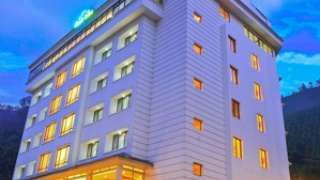 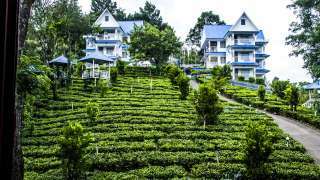 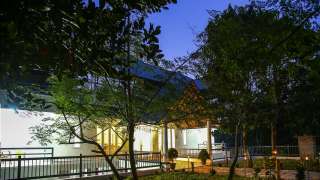 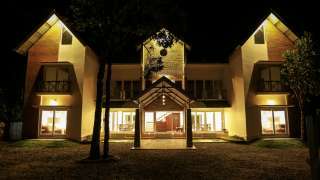 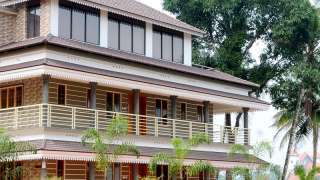 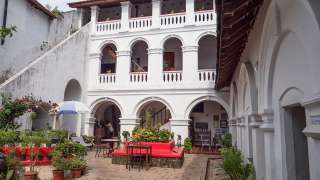 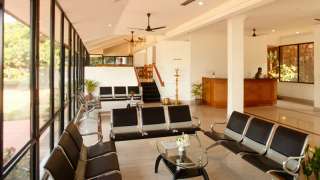 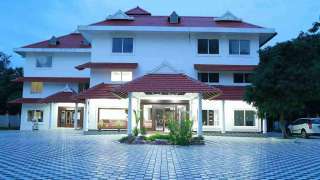 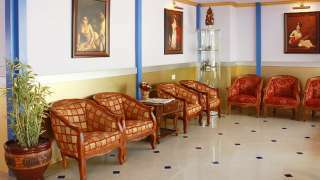 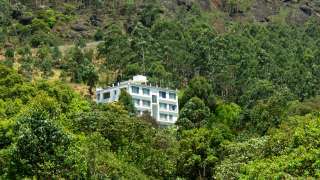 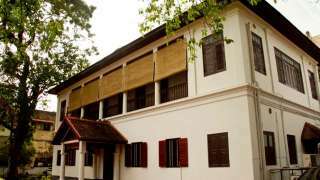 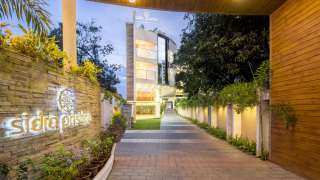 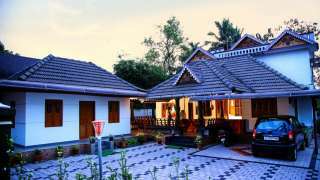 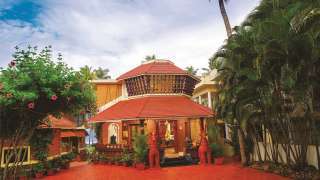 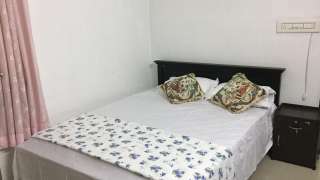 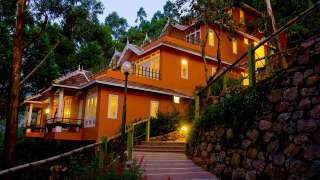 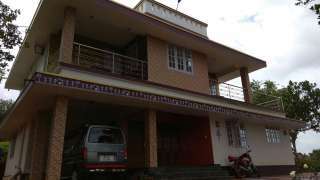 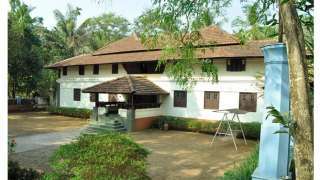 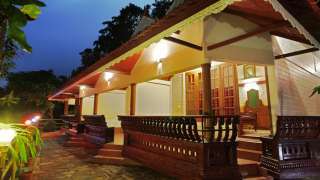 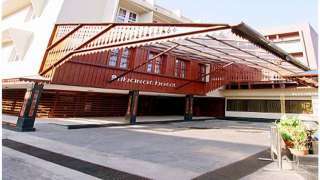 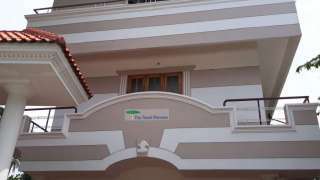 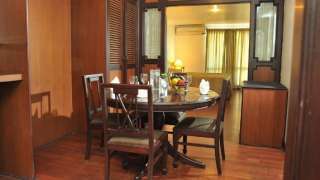 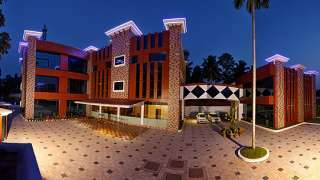 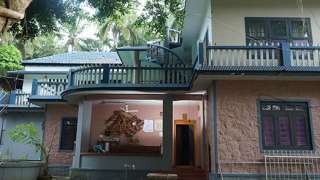 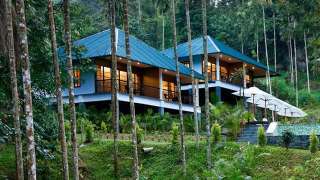 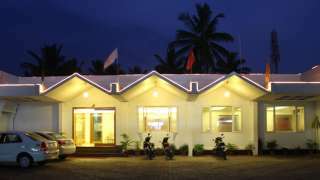 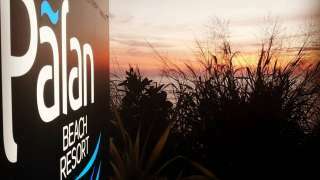 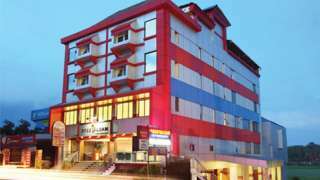 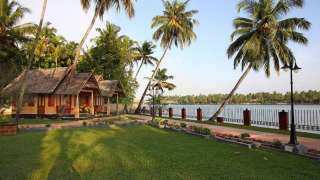 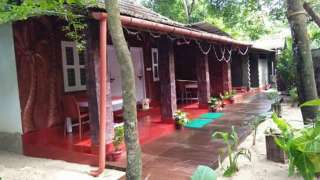 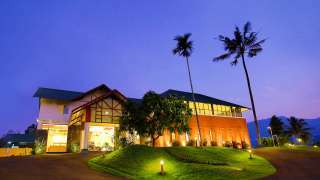 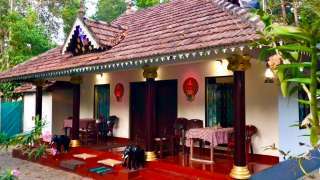 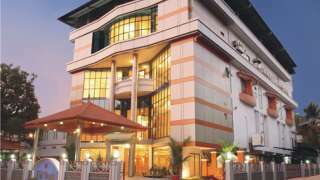 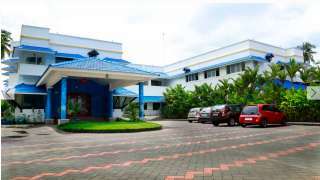 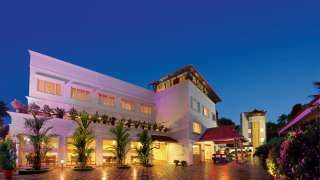 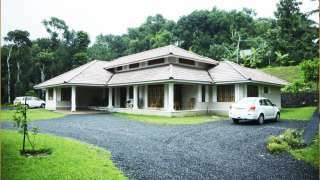 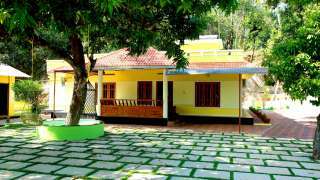 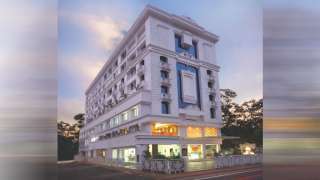 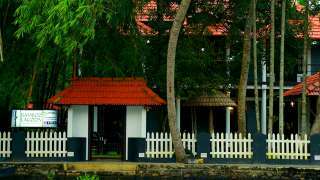 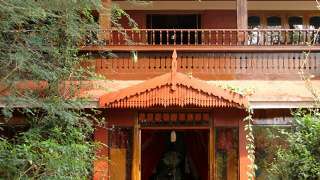 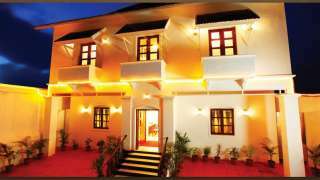 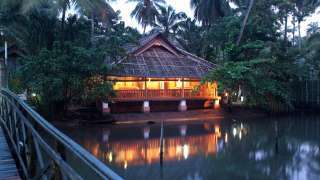 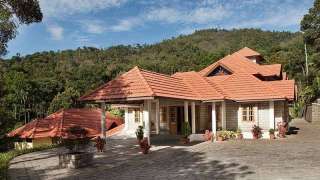 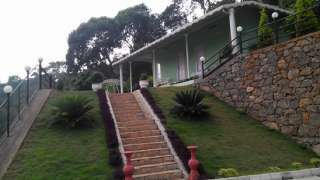 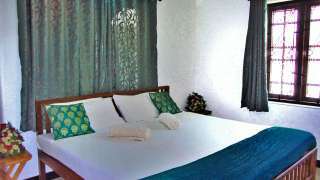 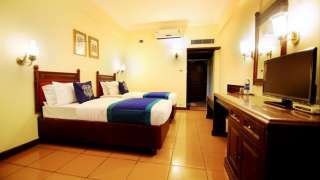 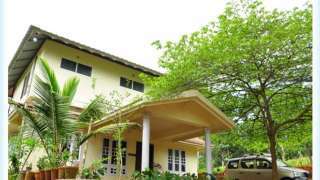 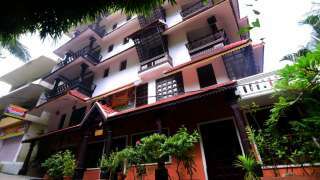 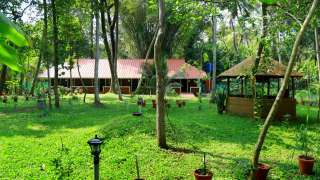 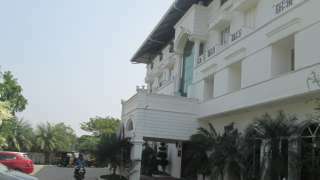 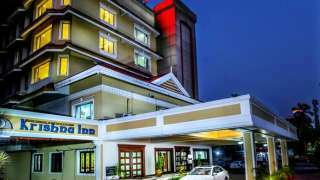 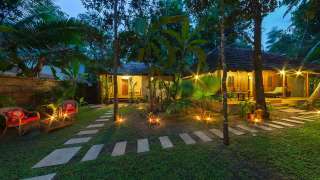 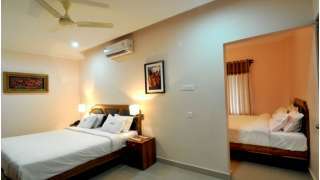 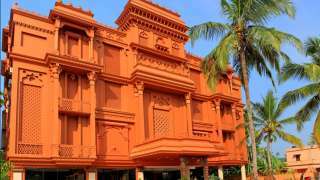 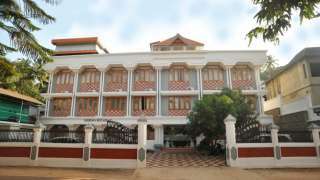 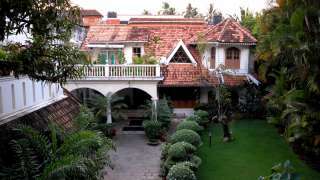 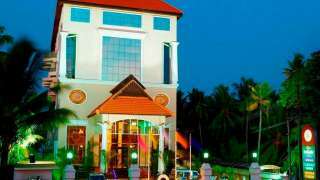 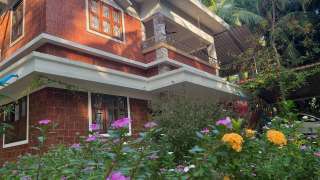 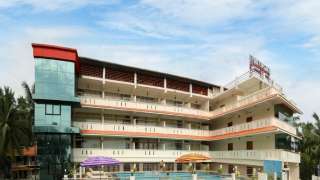 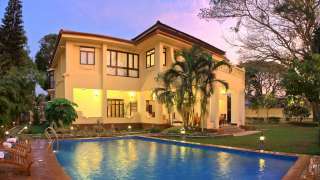 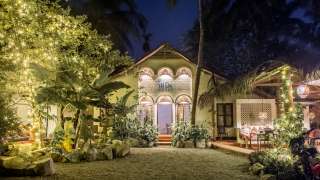 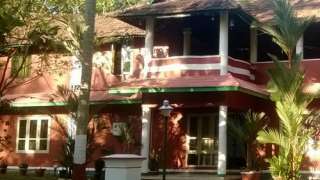 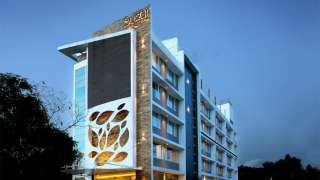 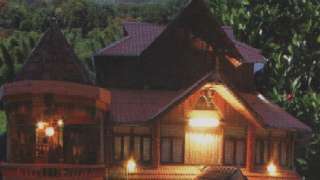 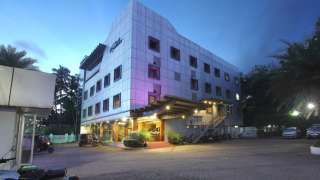 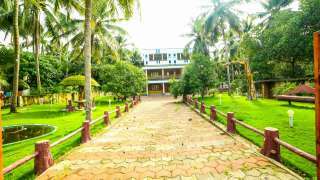 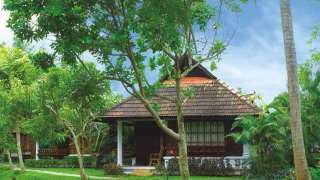 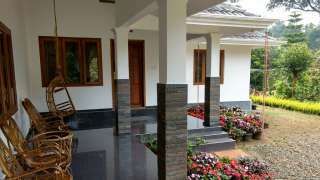 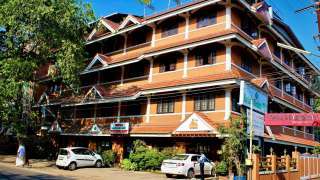 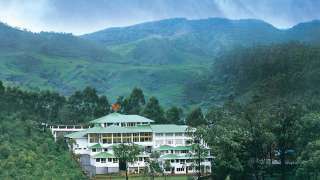 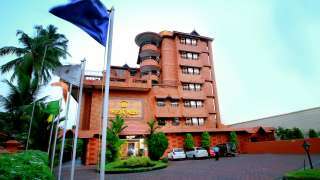 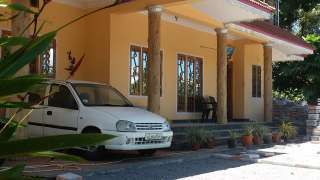 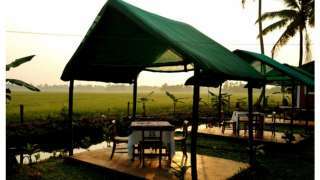 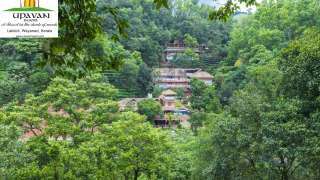 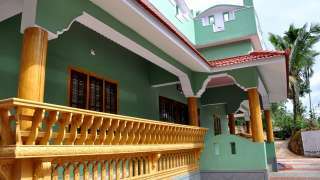 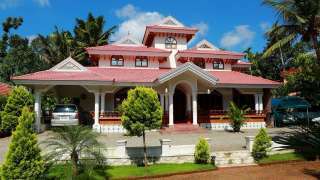 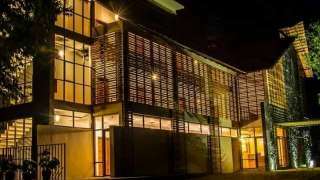 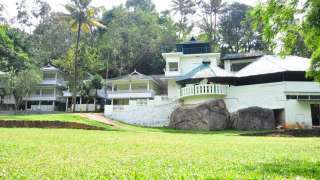 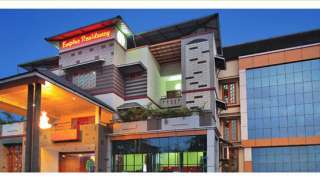 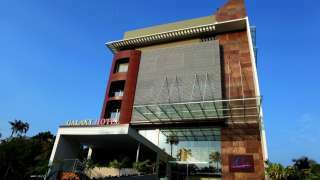 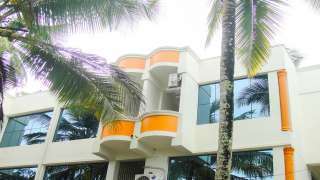 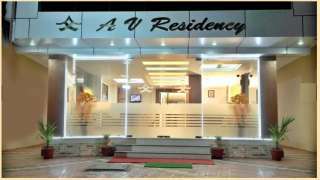 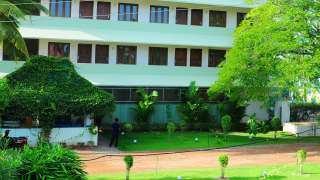 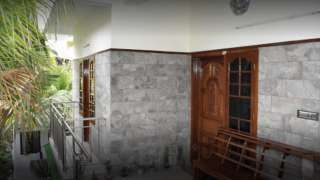 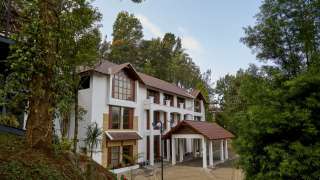 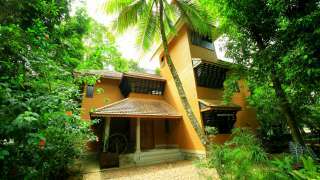 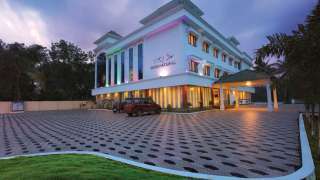 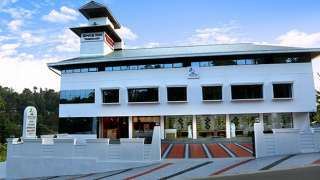 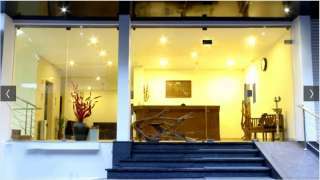 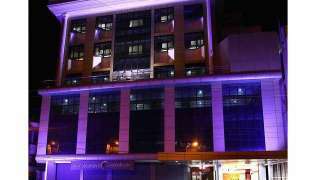 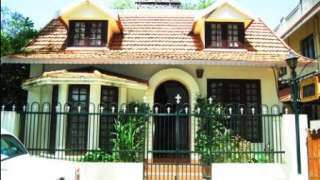 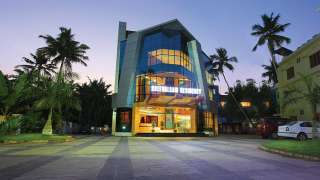 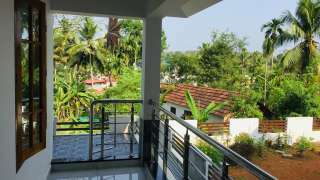 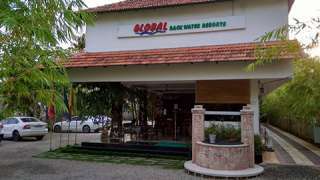 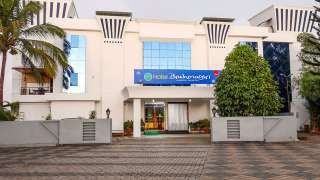 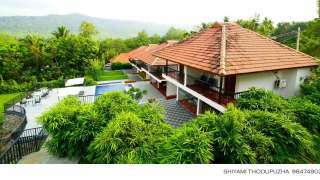 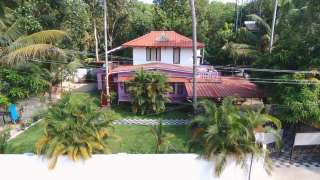 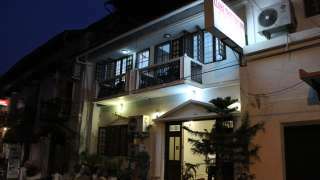 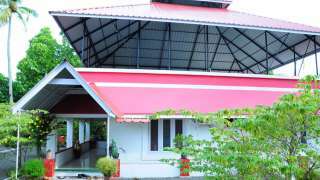 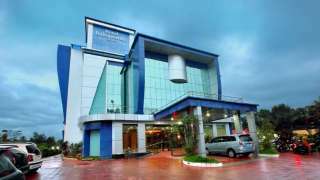 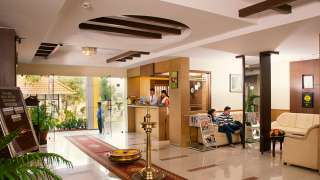 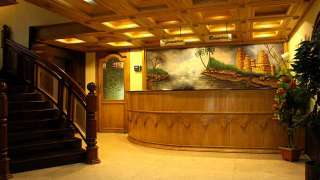 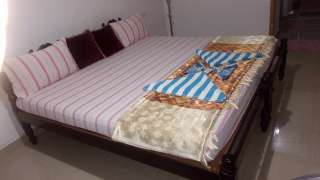 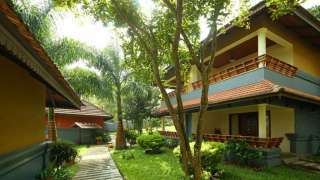 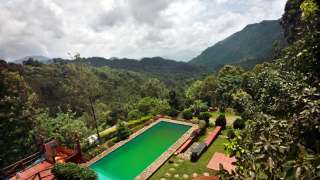 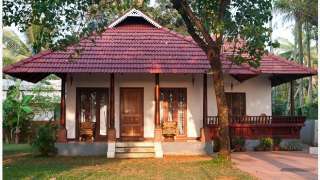 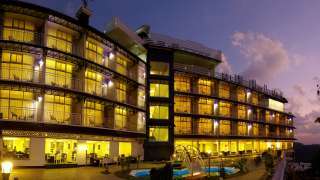 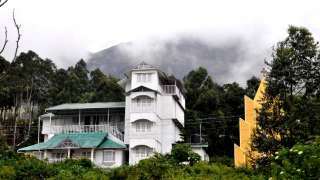 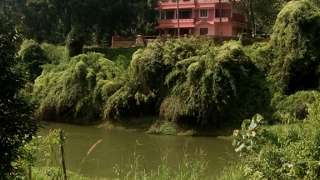 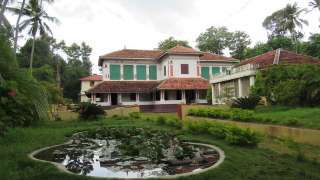 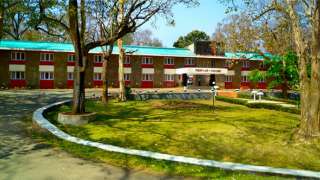 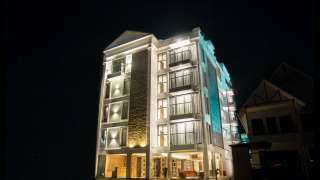 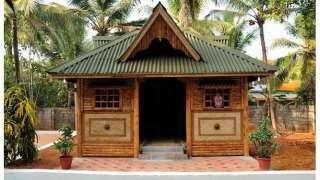 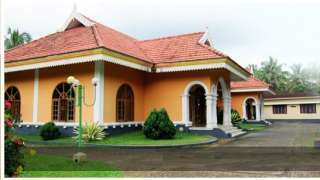 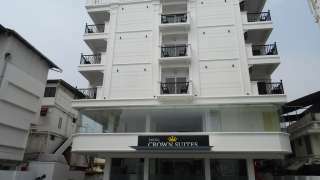 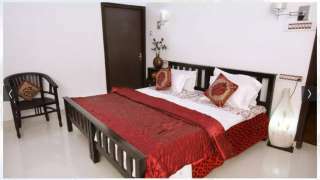 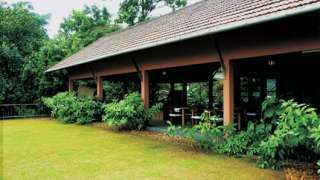 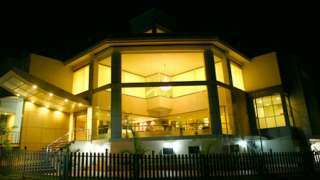 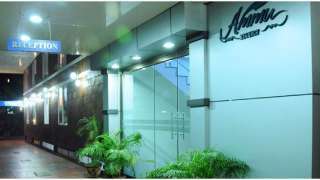 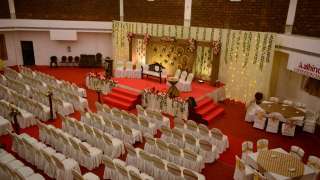 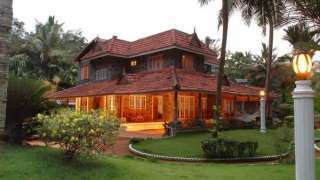 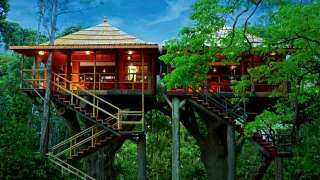 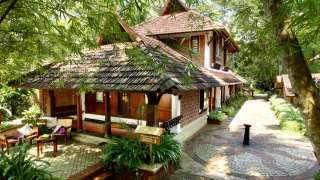 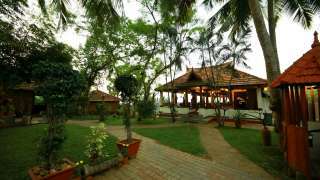 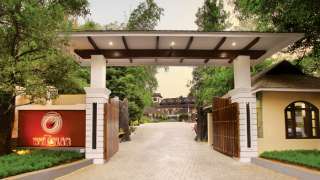 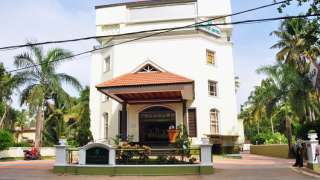 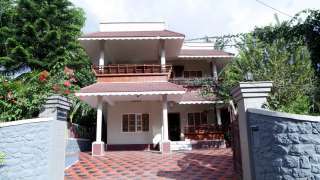 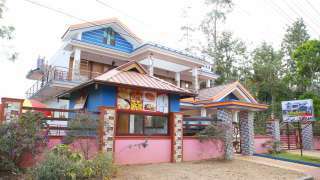 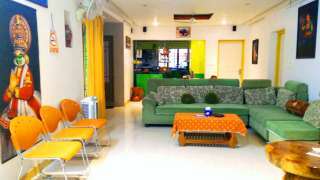 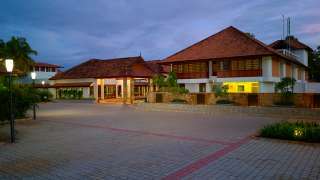 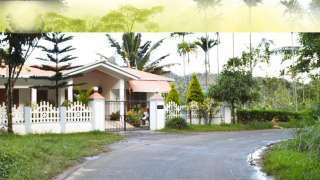 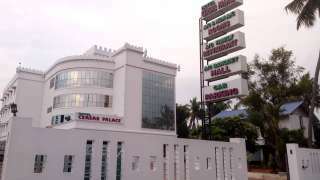 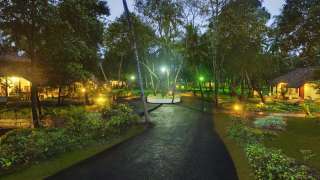 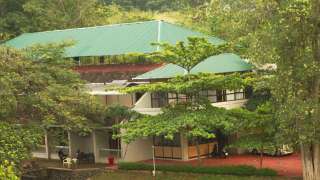 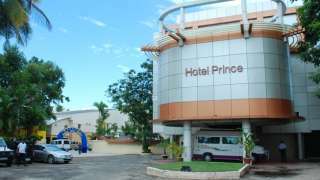 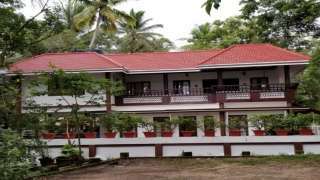 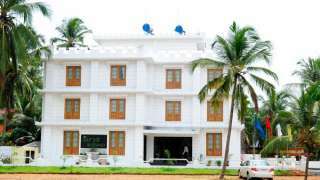 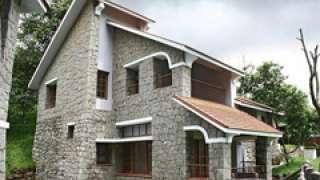 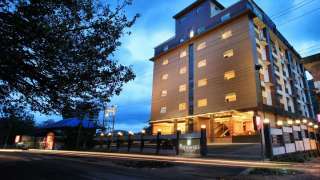 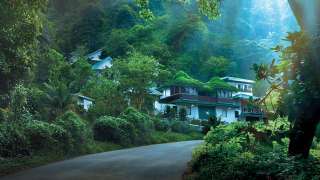 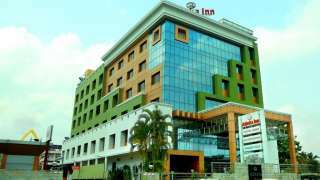 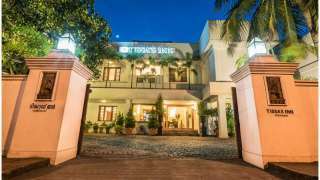 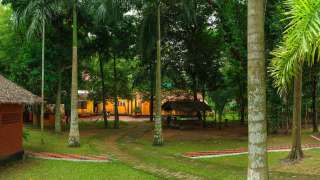 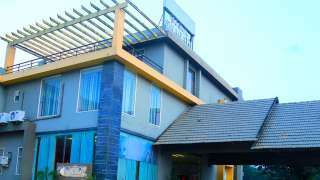 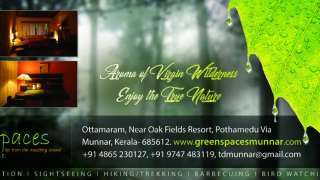 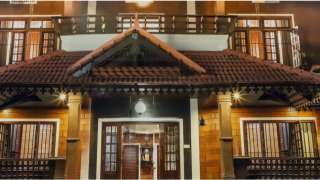 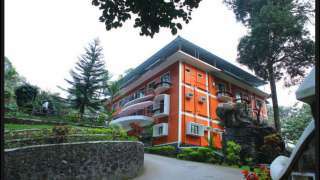 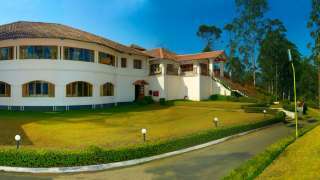 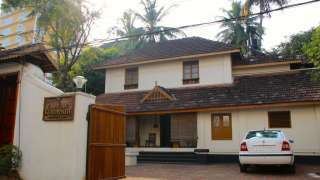 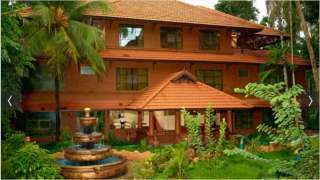 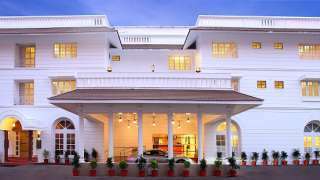 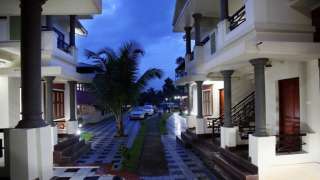 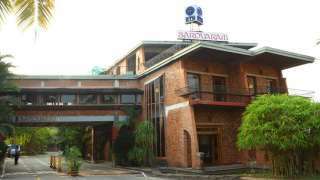 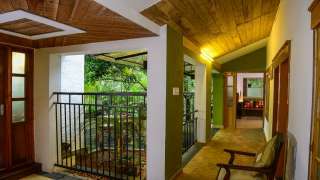 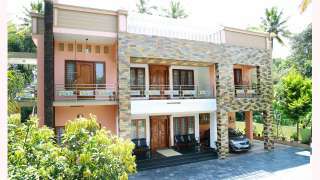 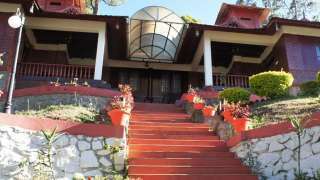 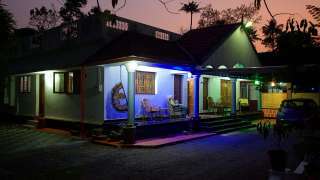 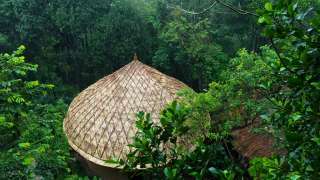 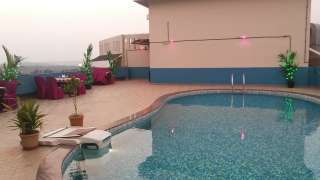 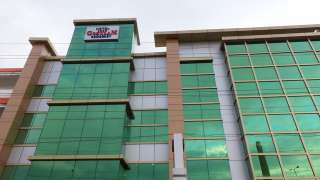 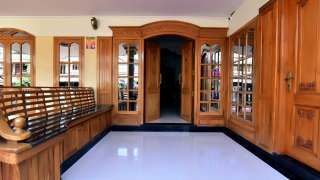 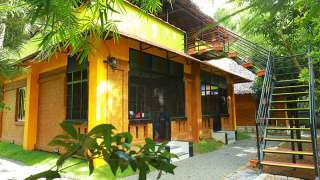 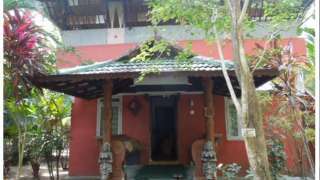 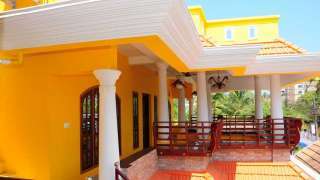 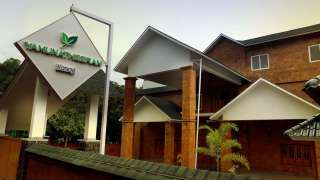 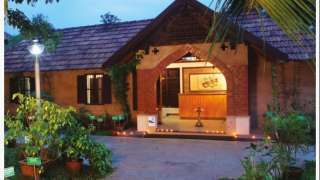 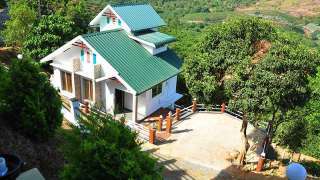 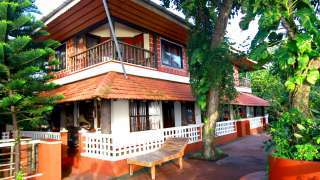 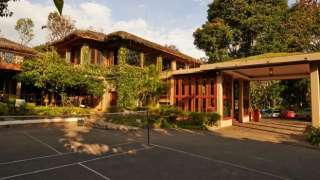 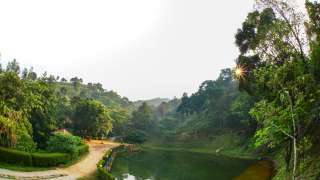 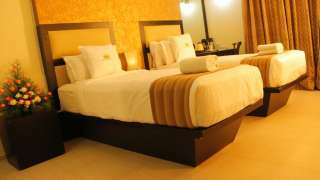 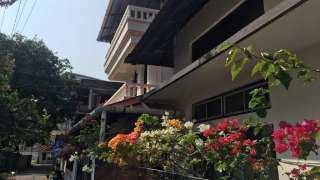 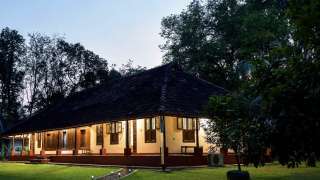 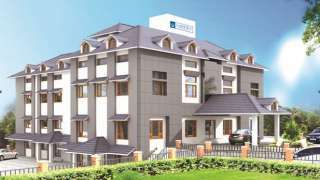 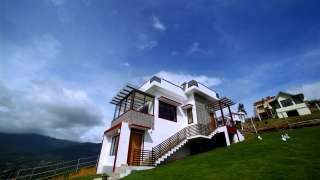 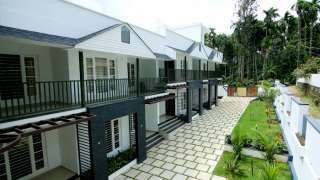 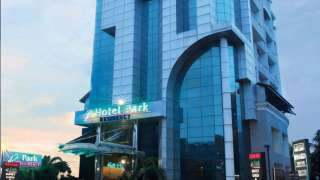 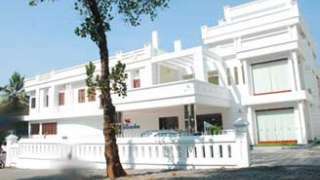 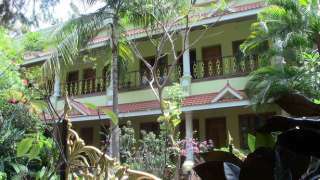 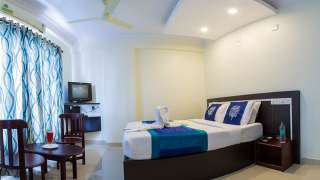 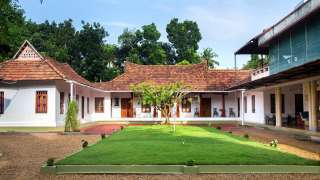 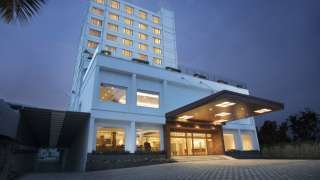 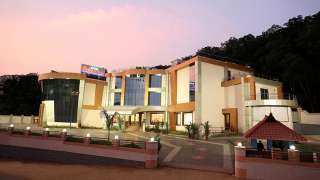 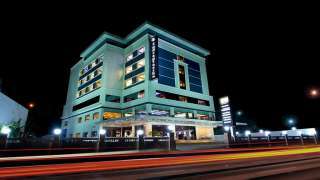 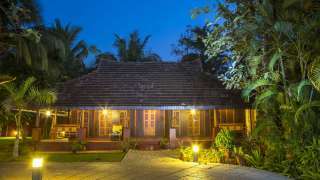 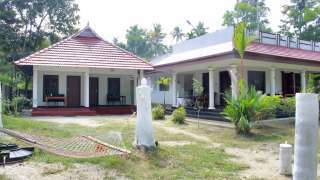 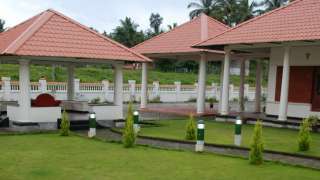 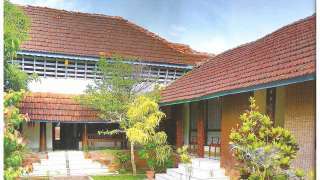 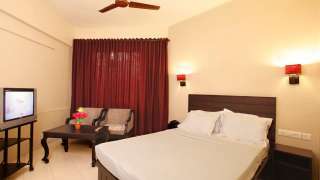 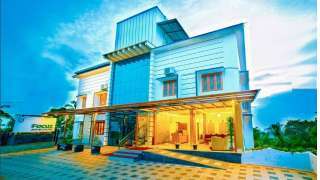 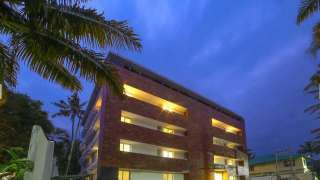 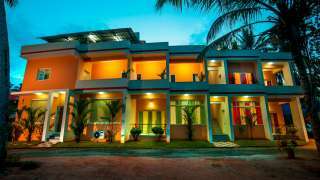 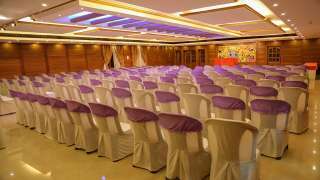 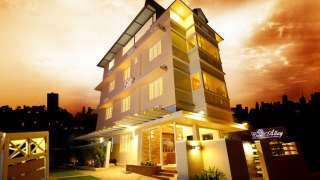 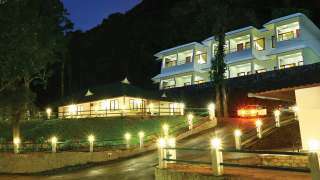 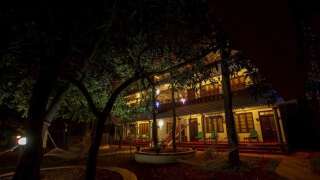 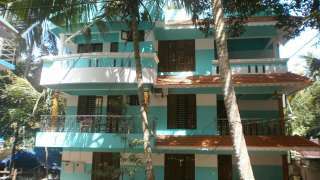 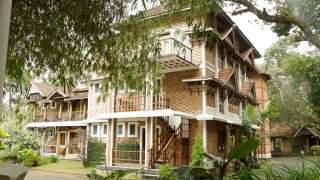 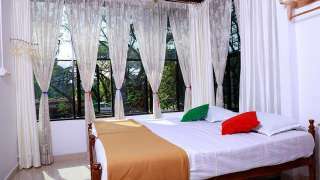 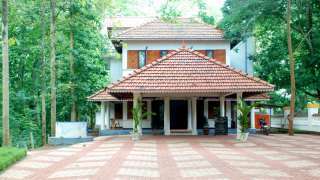 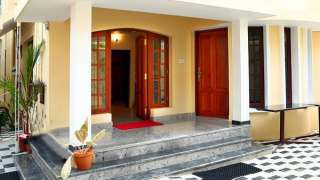 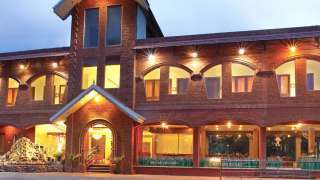 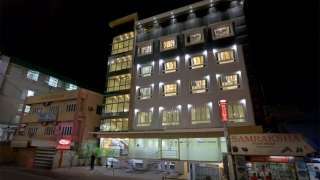 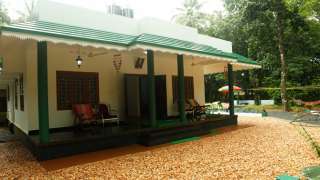 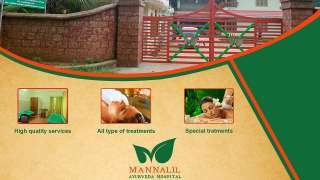 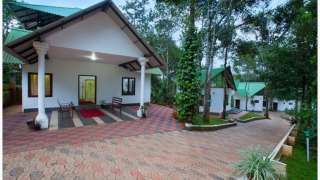 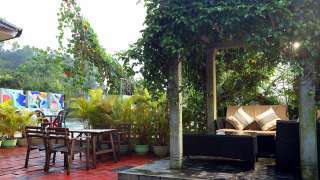 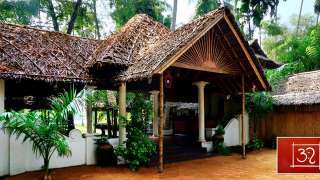 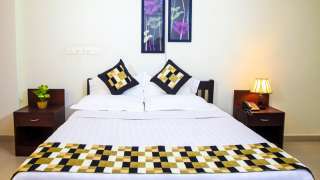 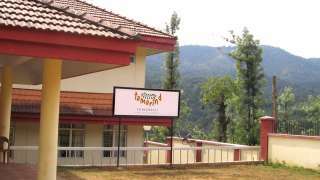 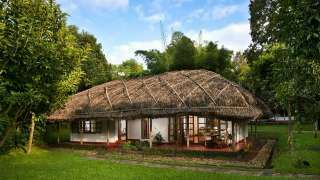 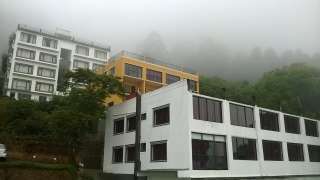 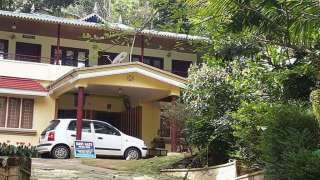 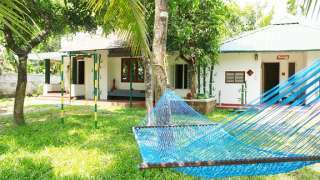 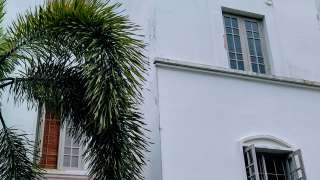 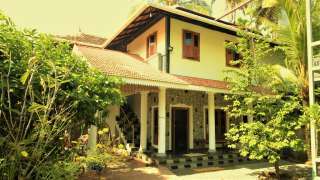 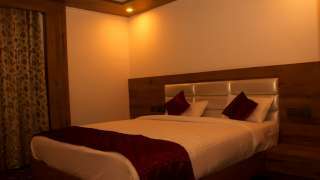 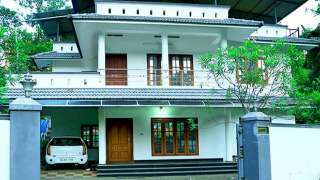 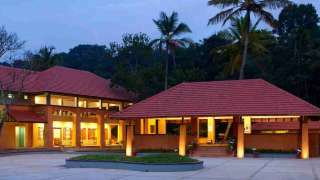 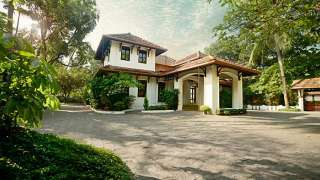 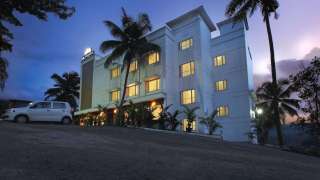 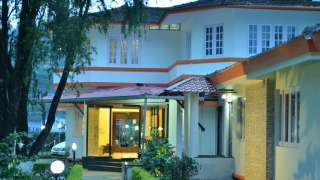 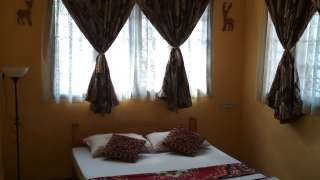 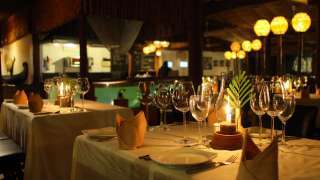 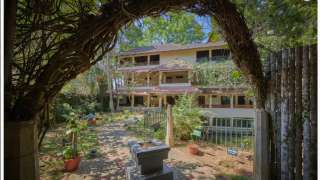 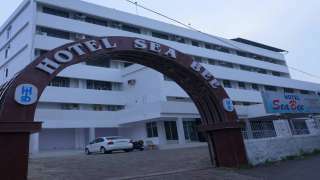 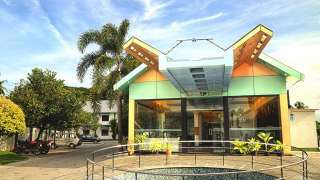 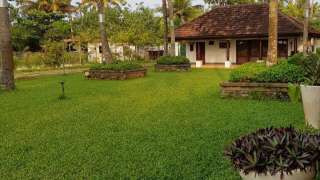 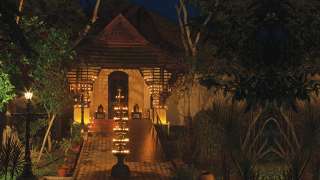 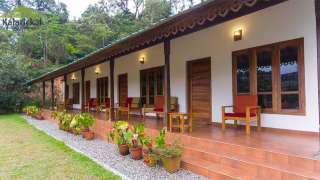 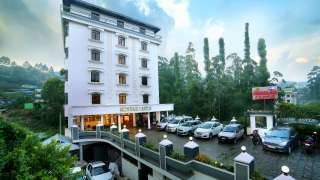 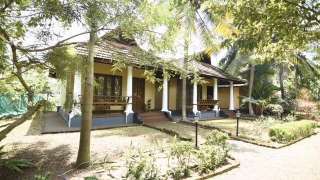 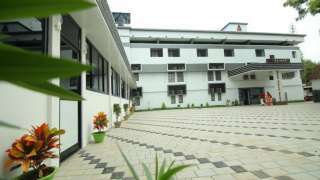 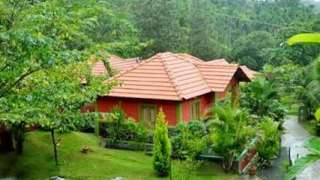 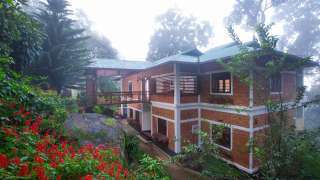 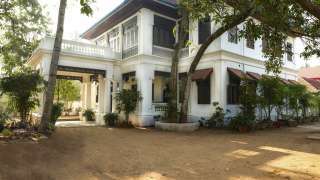 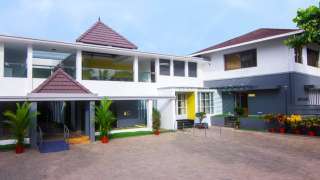 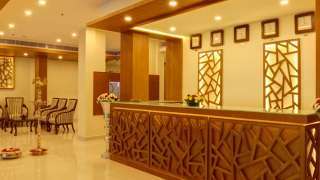 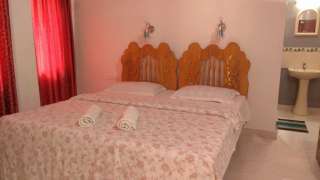 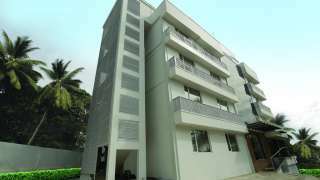 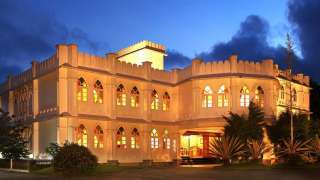 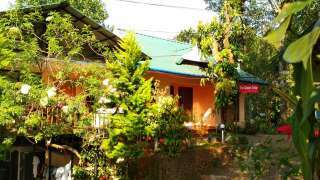 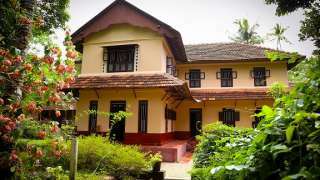 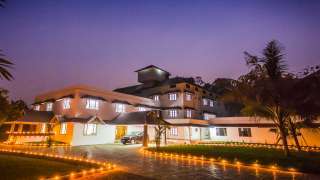 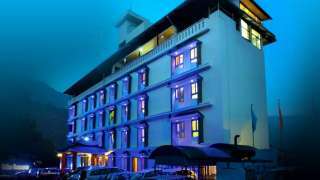 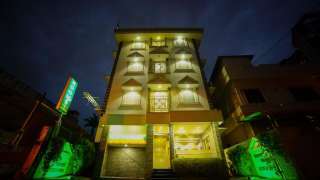 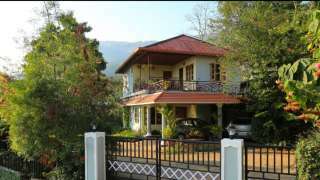 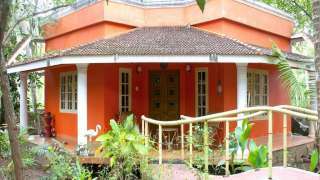 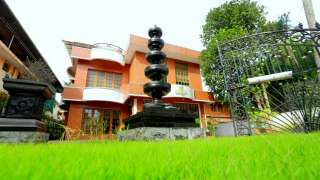 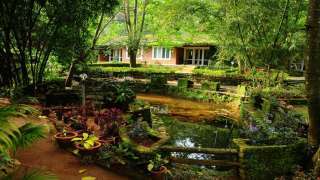 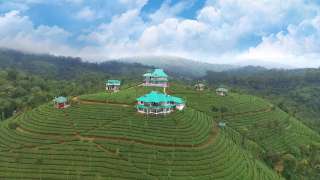 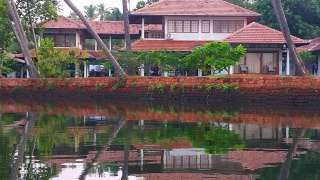 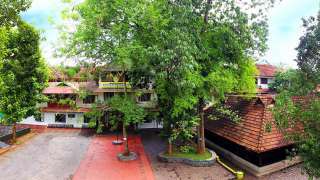 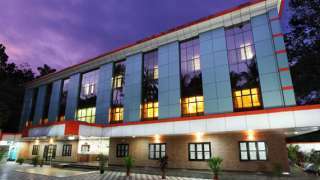 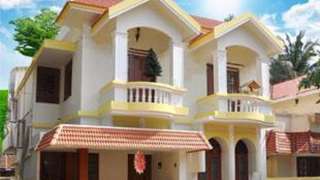 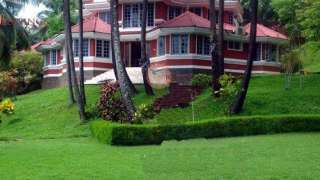 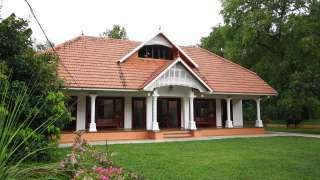 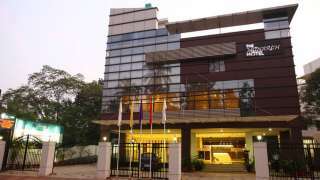 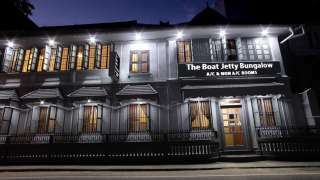 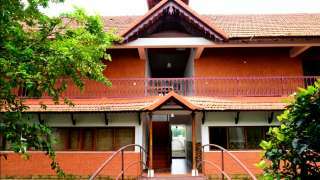 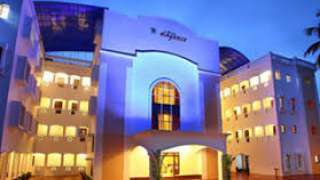 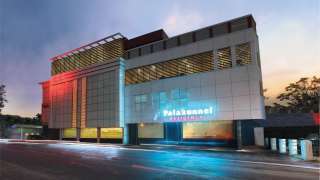 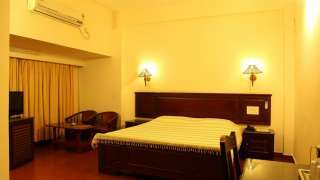 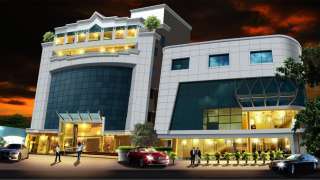 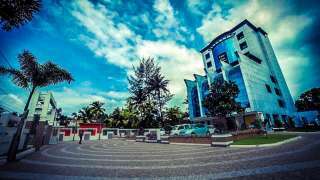 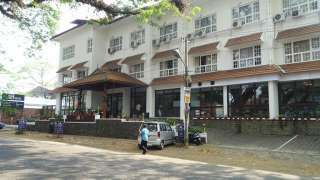 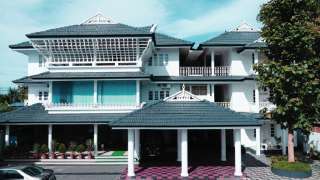 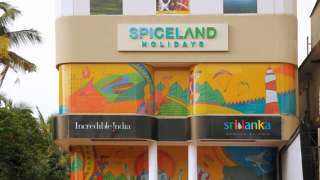 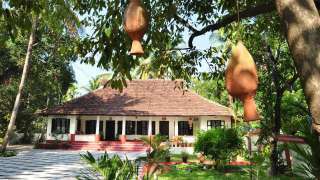 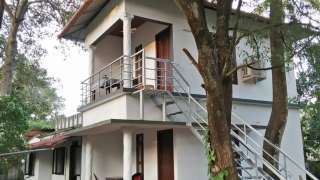 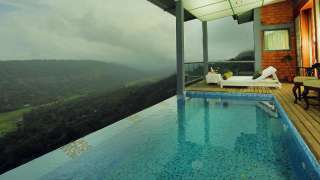 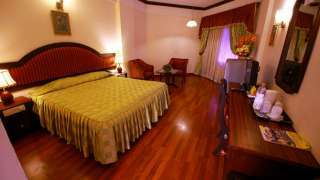 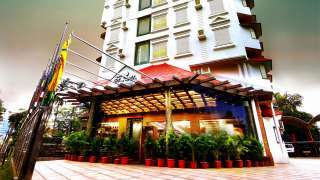 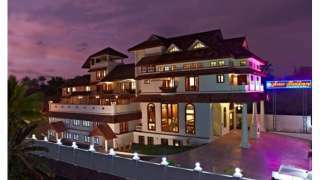 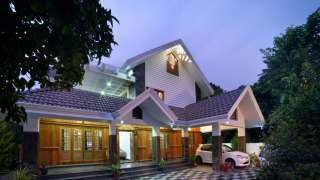 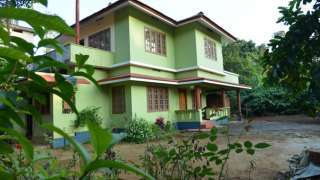 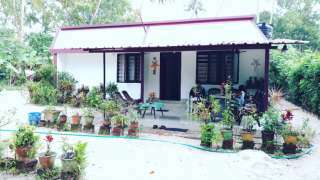 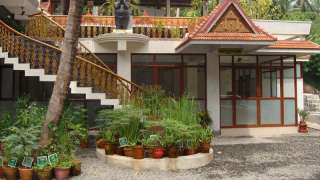 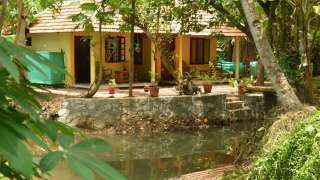 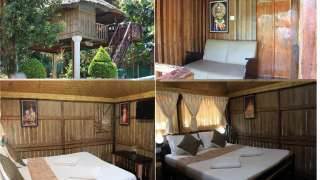 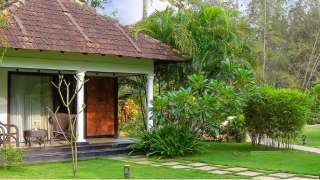 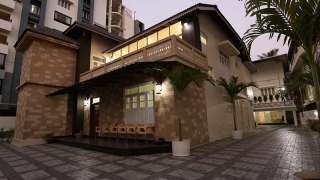 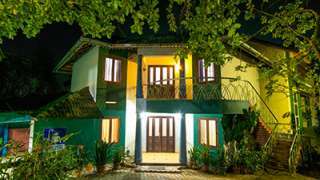 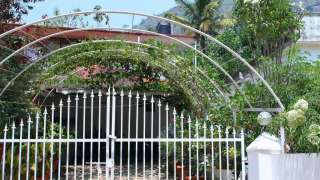 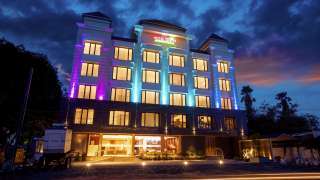 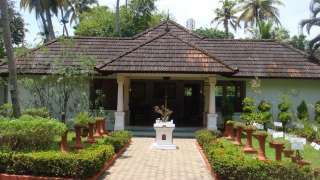 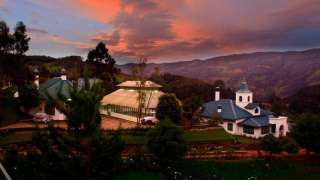 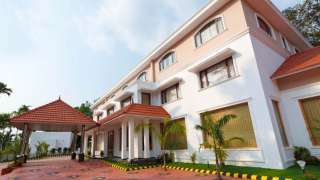 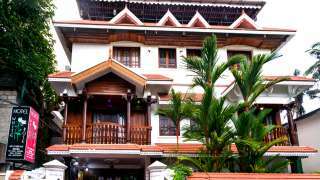 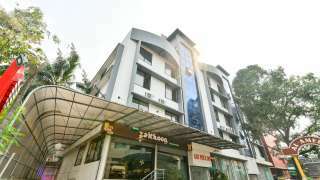 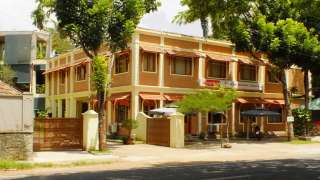 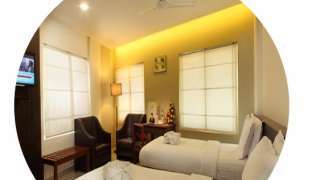 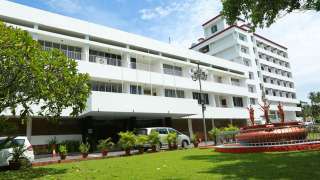 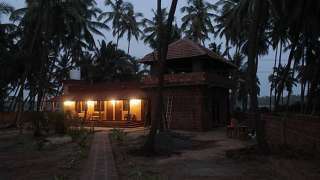 KSR Alanakr Hotels & Resorts (P) Ltd.
Fragrant Nature Hotels and Resorts Pvt. 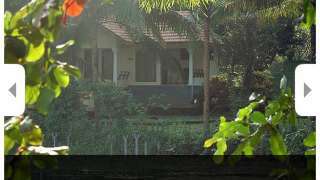 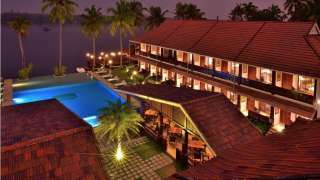 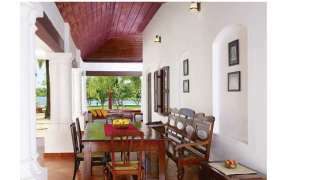 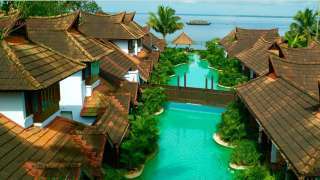 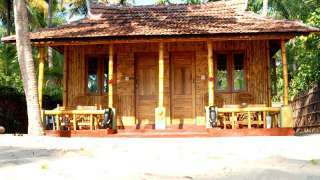 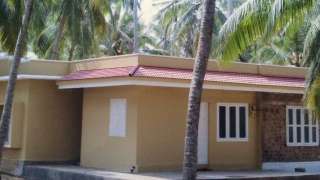 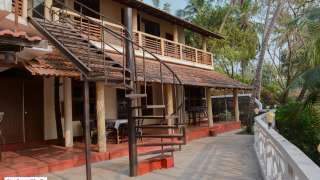 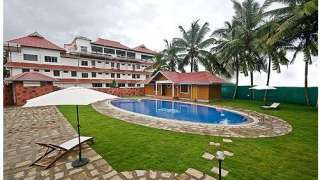 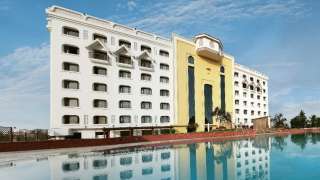 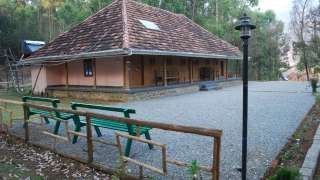 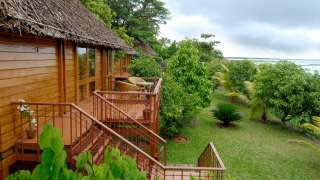 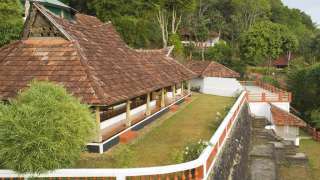 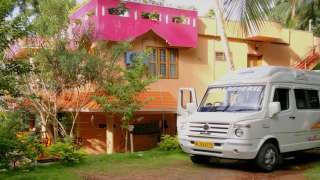 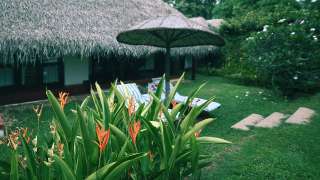 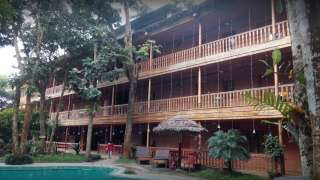 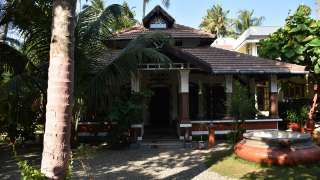 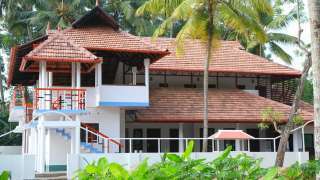 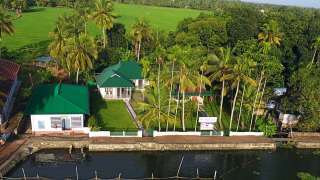 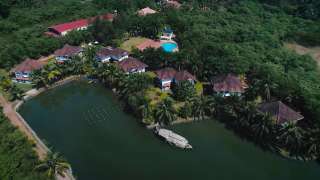 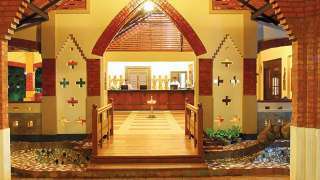 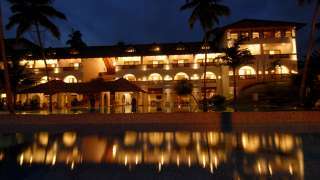 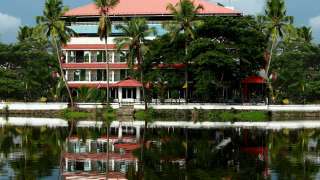 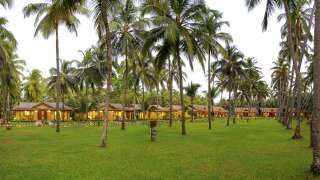 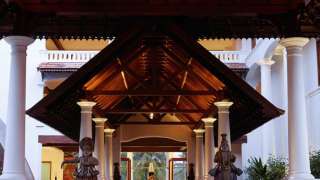 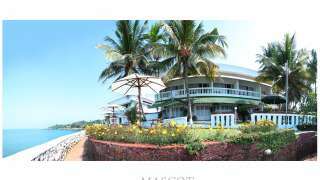 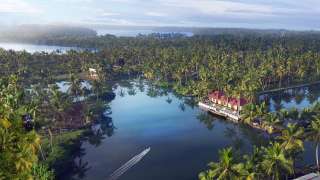 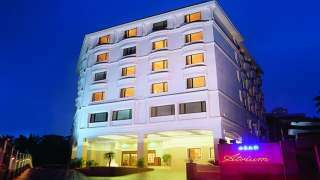 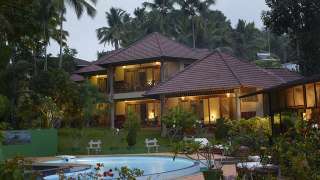 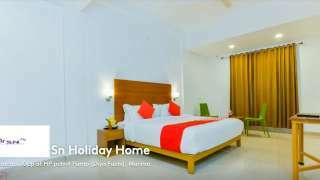 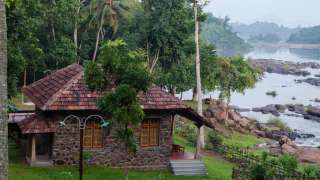 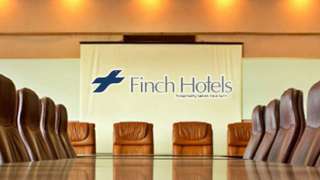 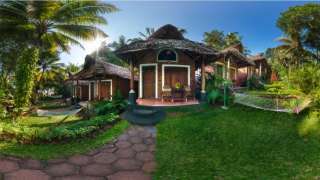 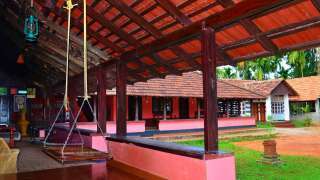 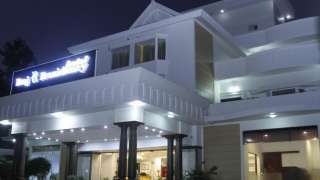 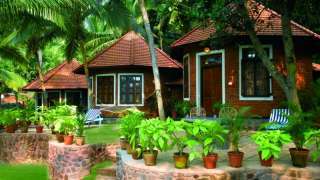 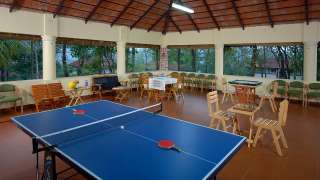 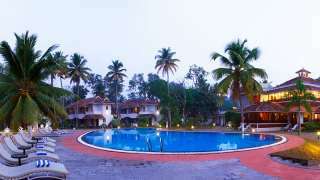 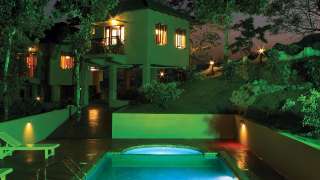 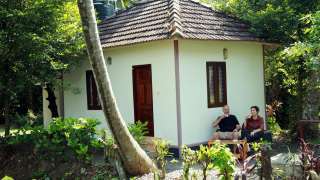 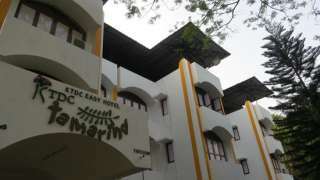 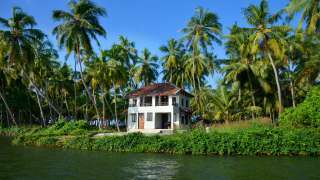 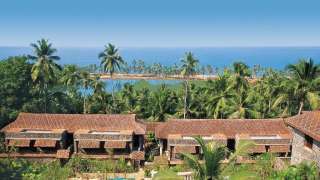 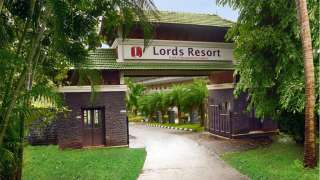 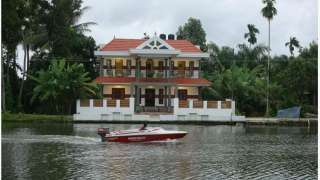 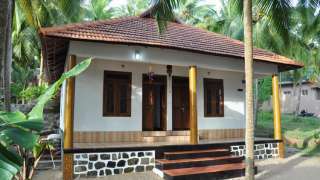 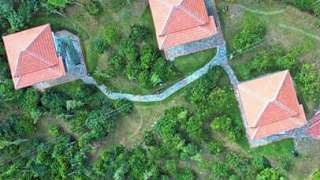 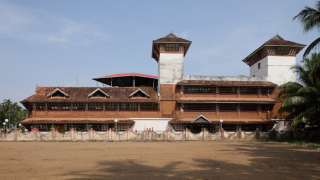 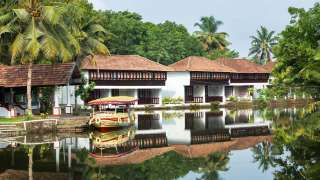 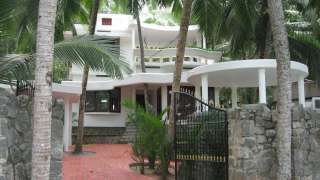 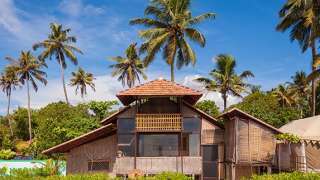 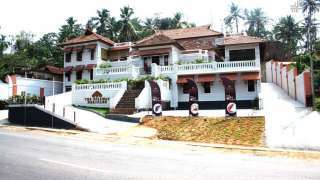 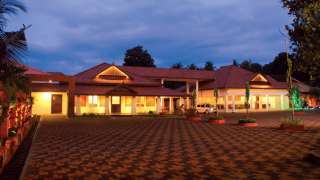 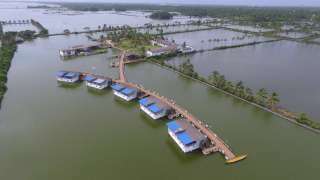 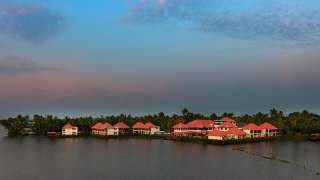 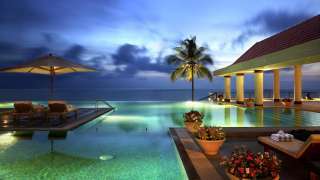 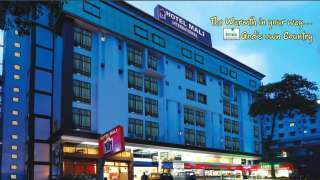 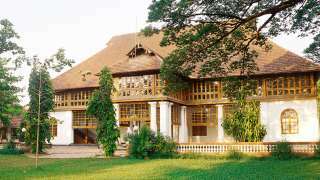 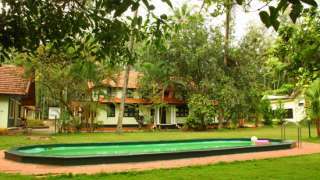 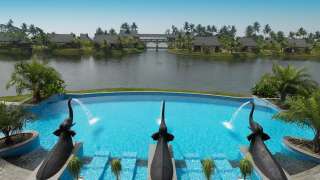 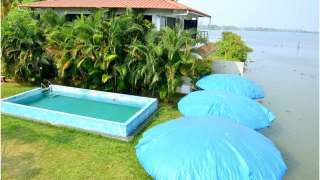 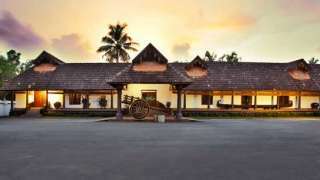 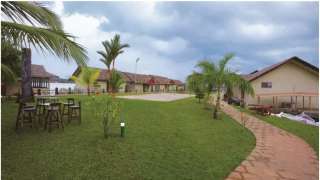 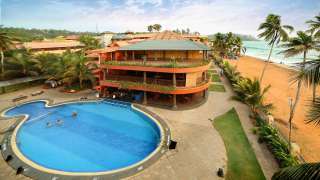 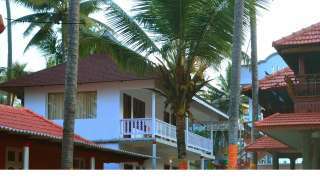 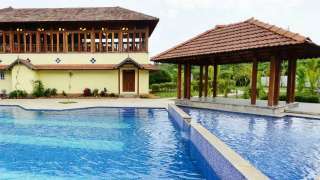 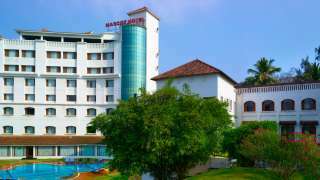 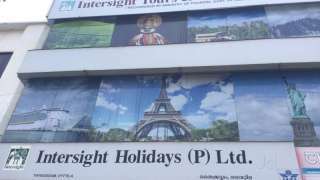 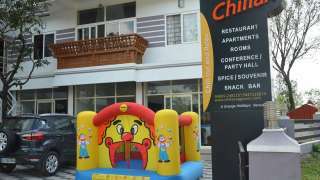 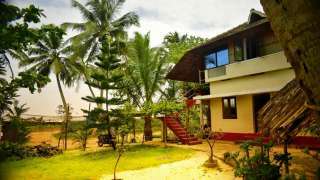 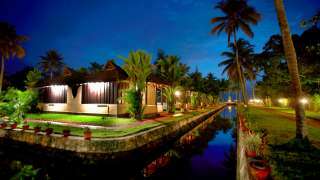 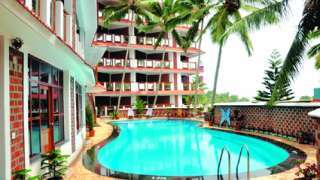 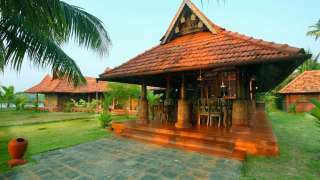 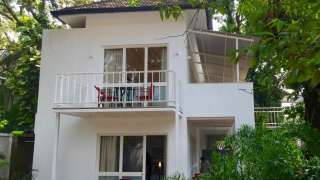 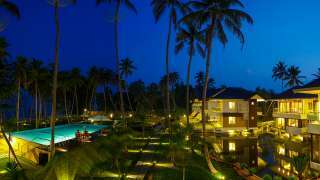 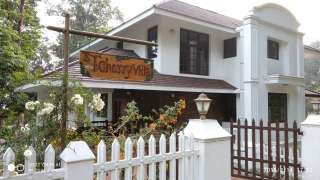 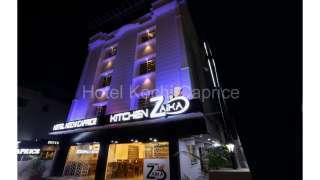 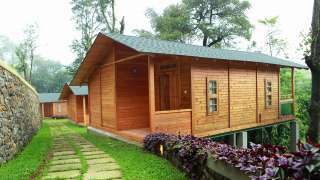 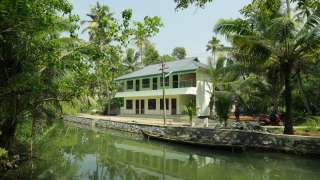 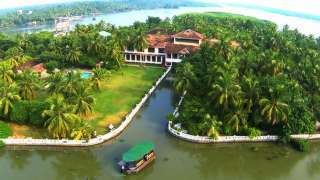 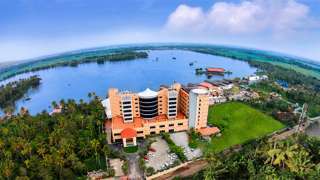 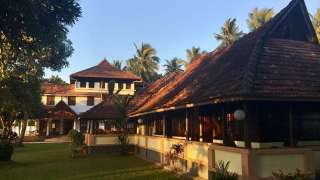 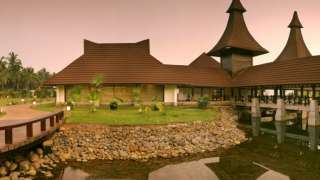 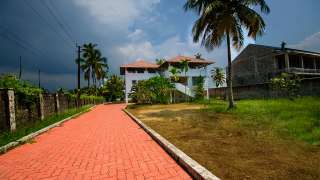 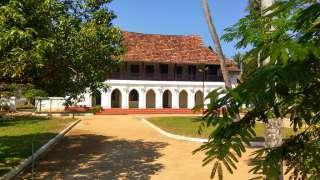 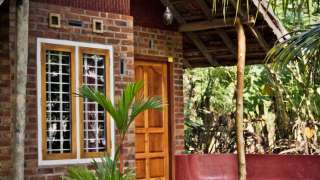 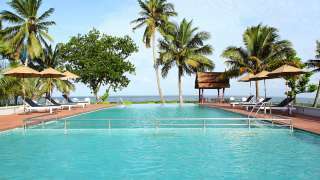 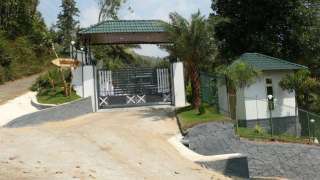 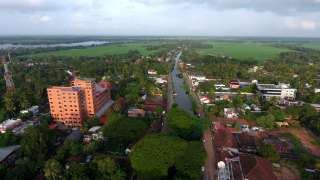 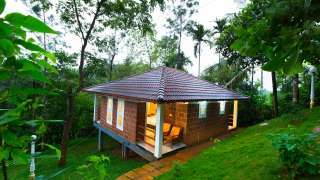 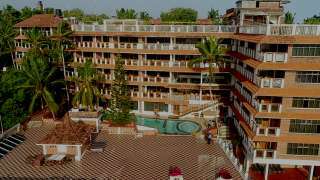 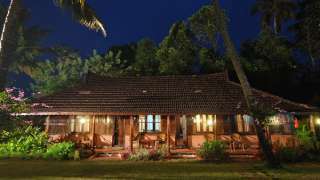 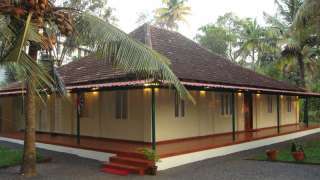 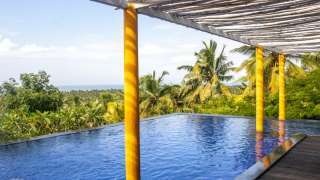 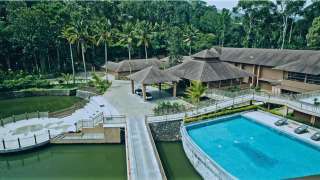 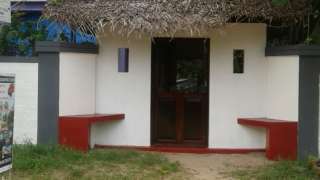 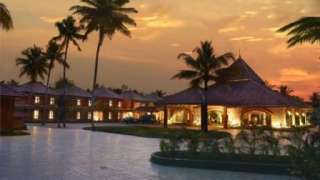 Ltd.
Karumanchery Holiday Resorts Private Ltd.
Wetzlar Resorts & Hotels Pvt. 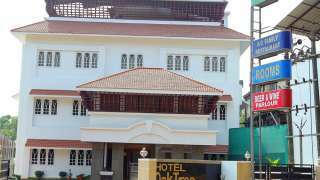 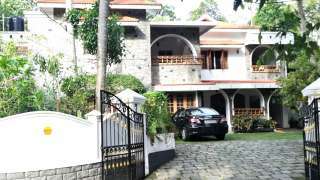 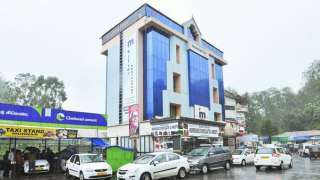 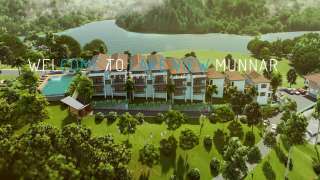 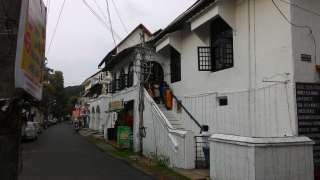 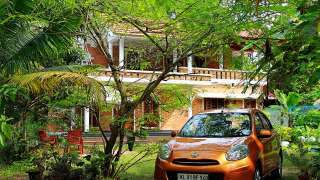 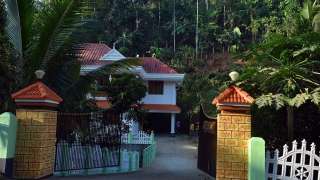 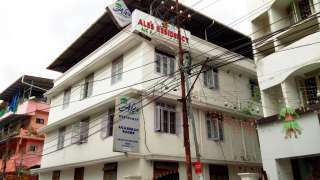 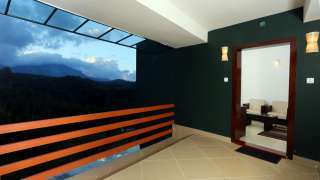 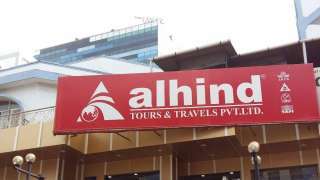 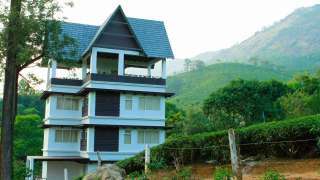 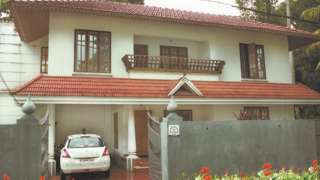 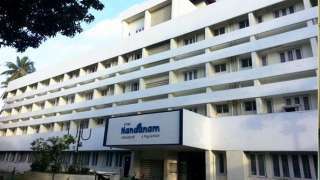 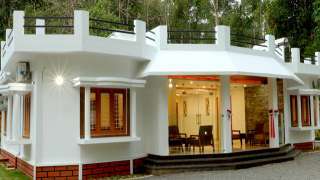 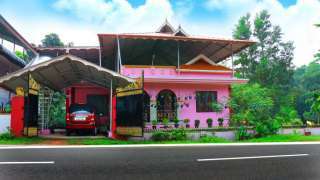 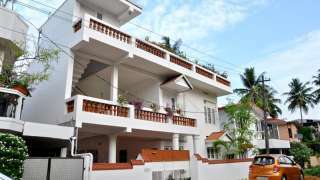 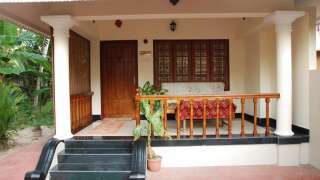 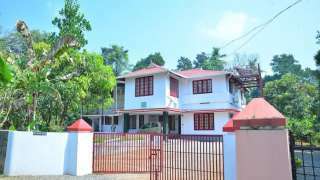 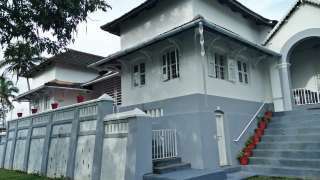 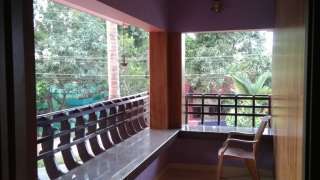 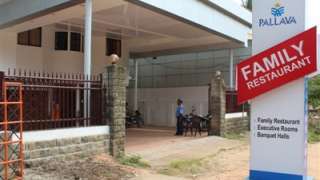 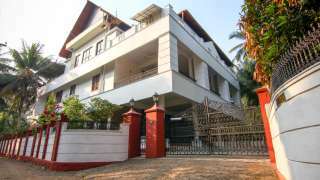 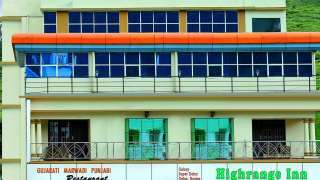 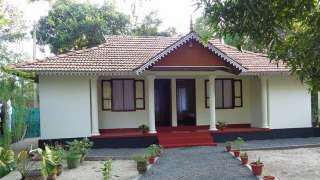 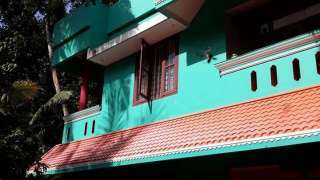 Ltd.
NH Road, Central Munnar P.O. 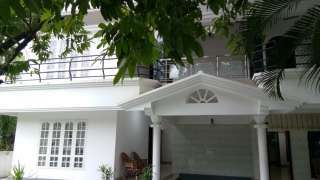 Rockwell Road, HMT Colony P. O.